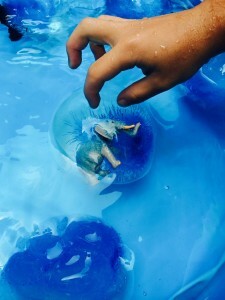 Hello, it is nice to meet you all! 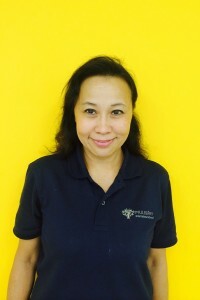 I am Margaret, and I am from Singapore. 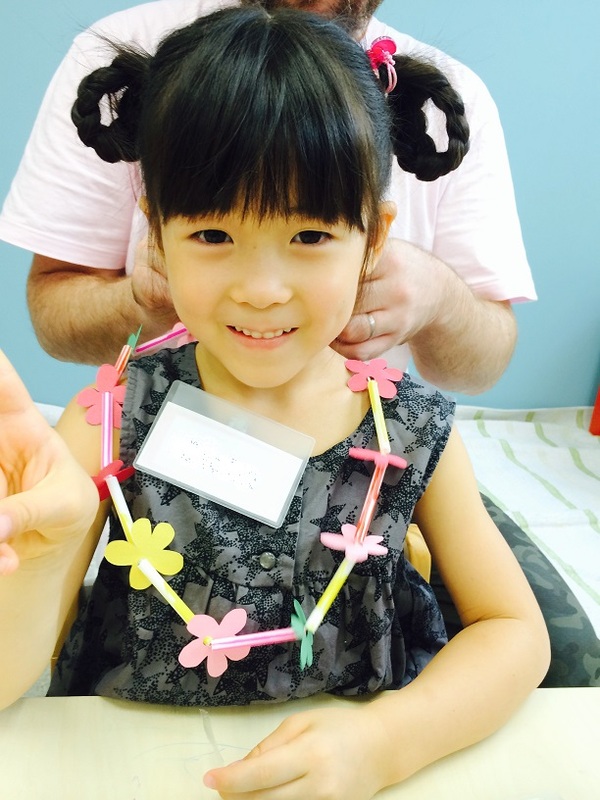 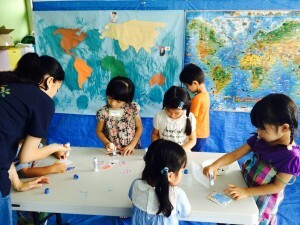 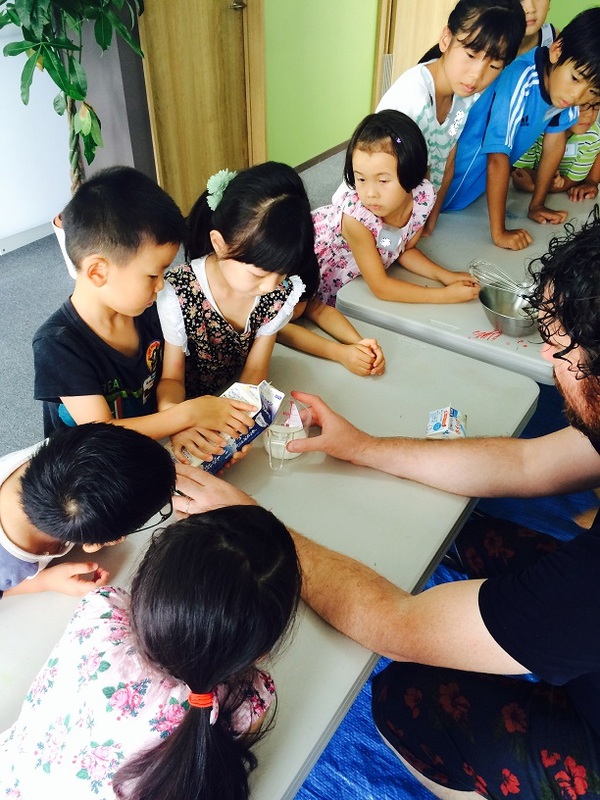 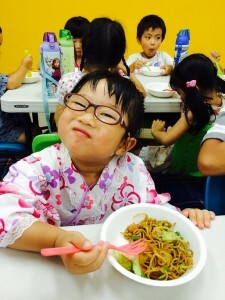 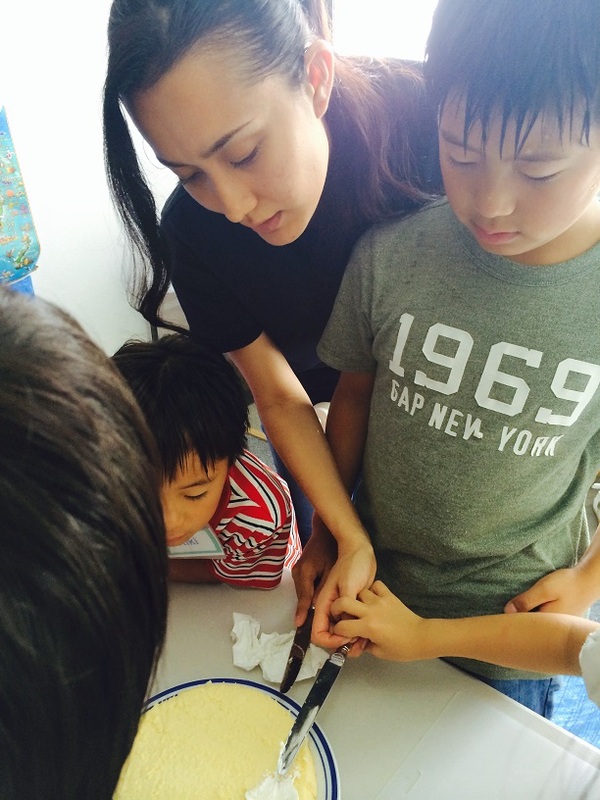 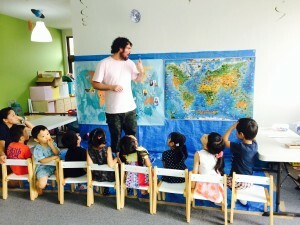 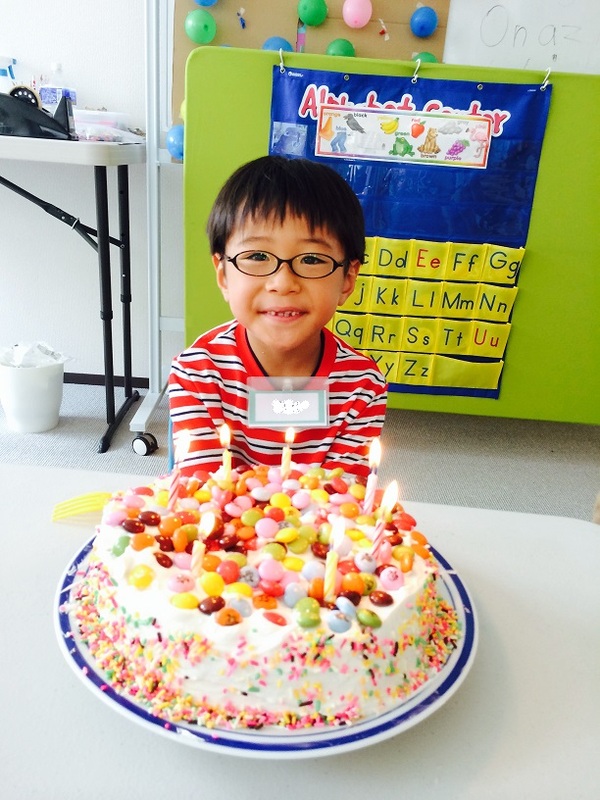 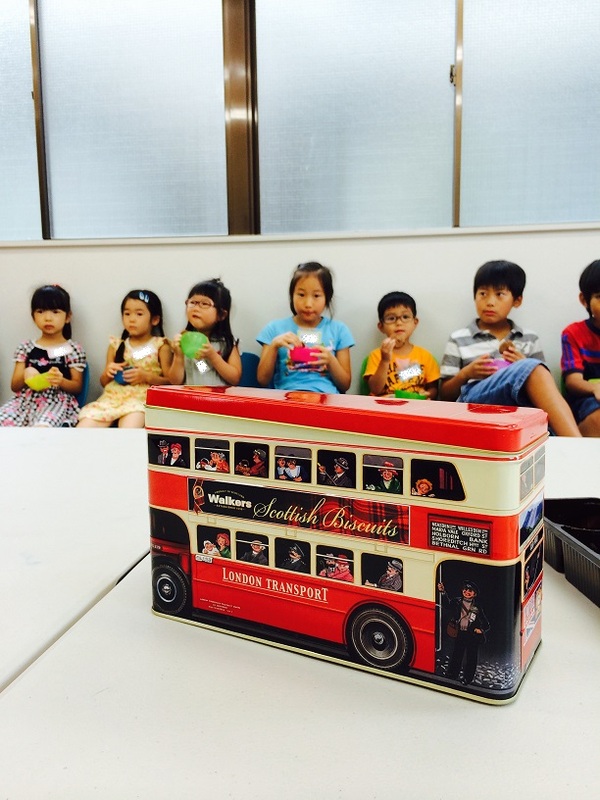 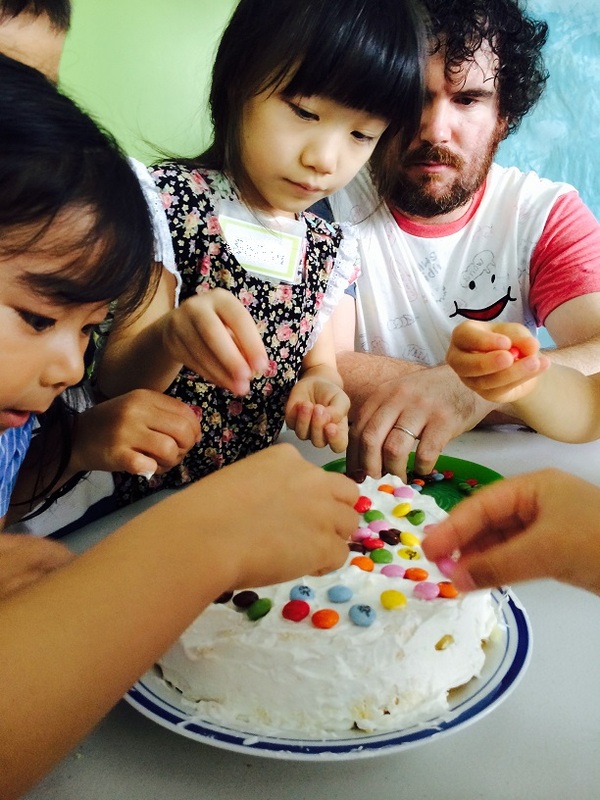 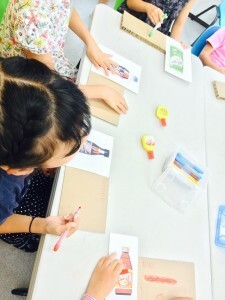 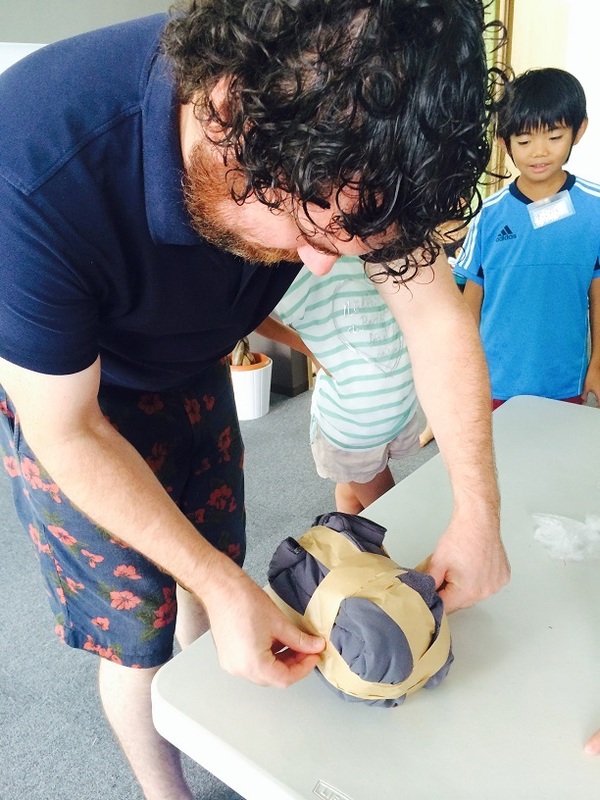 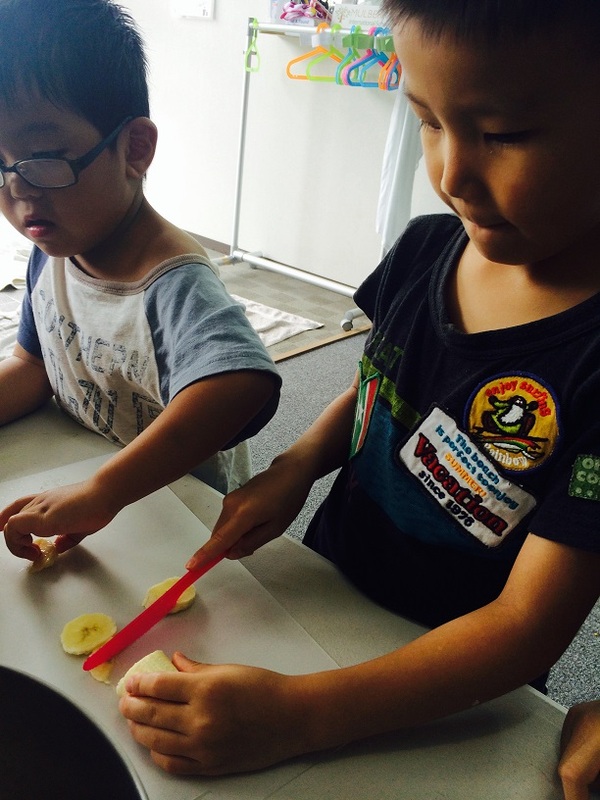 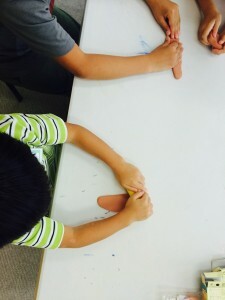 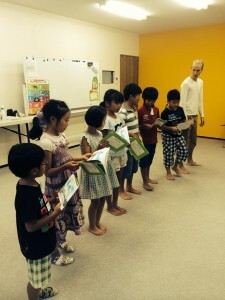 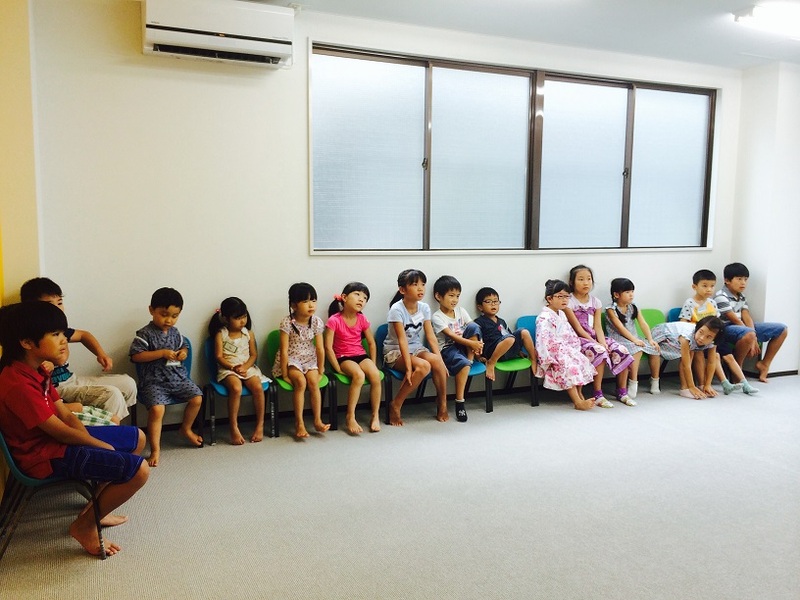 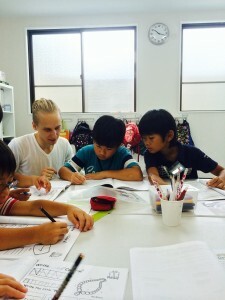 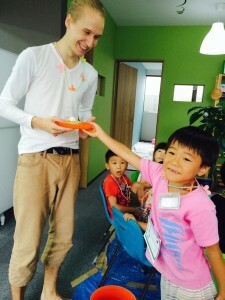 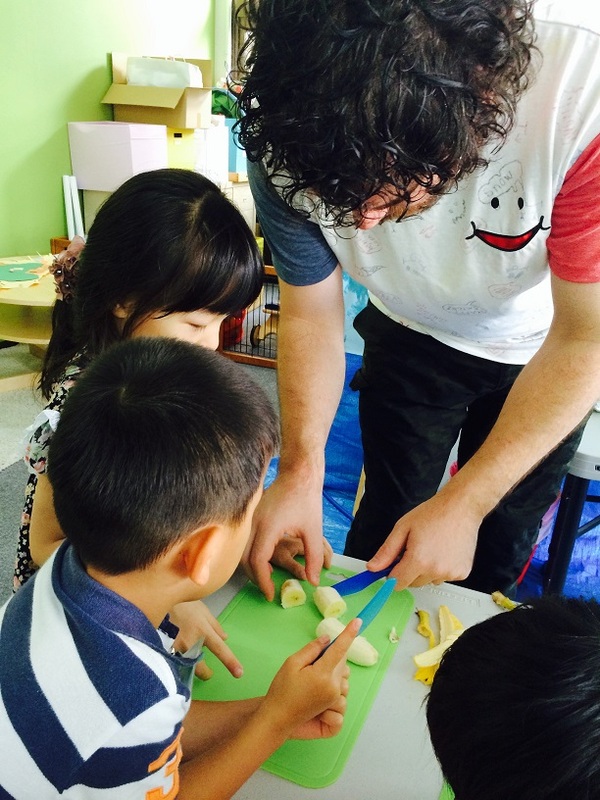 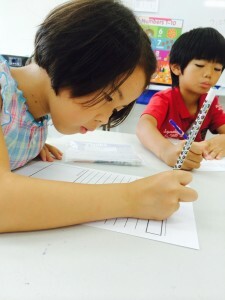 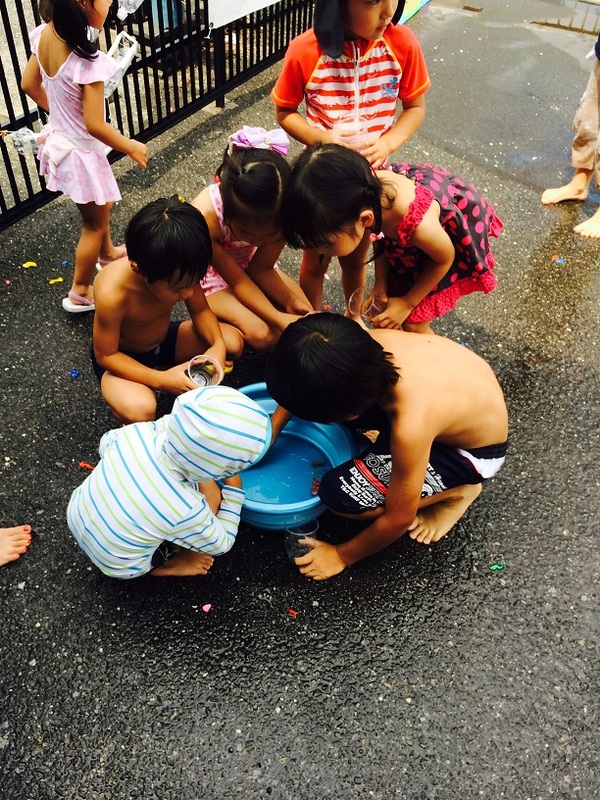 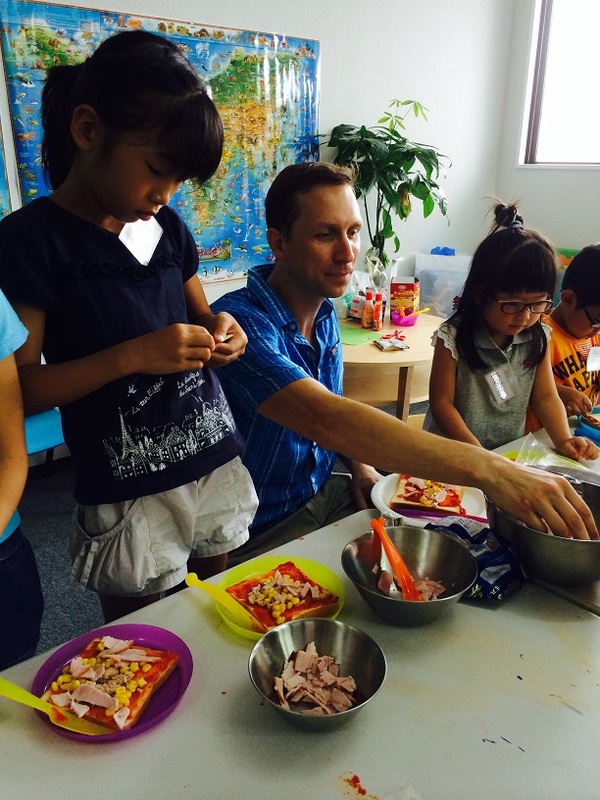 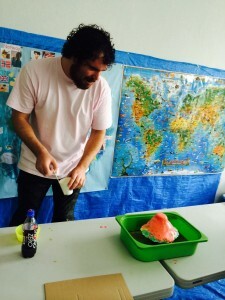 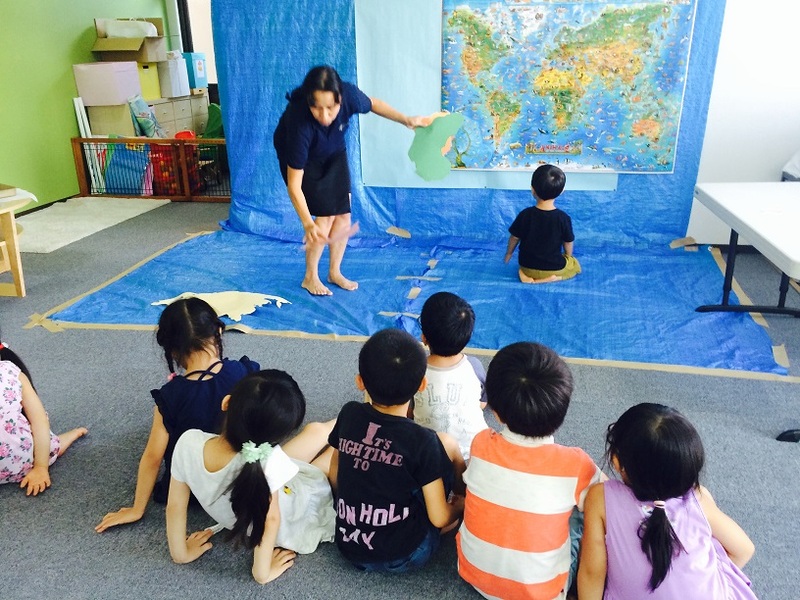 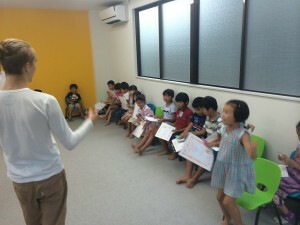 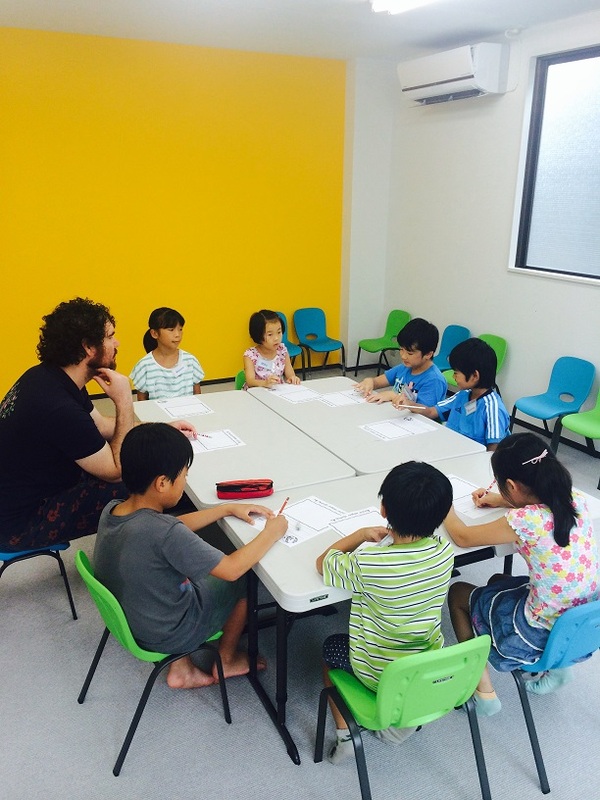 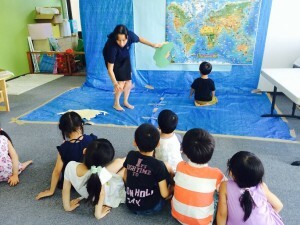 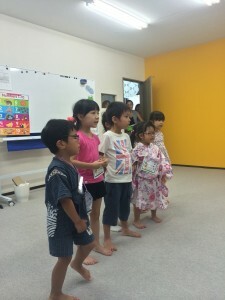 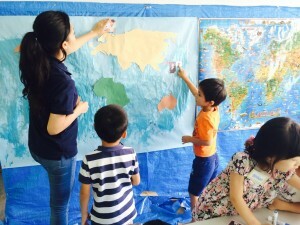 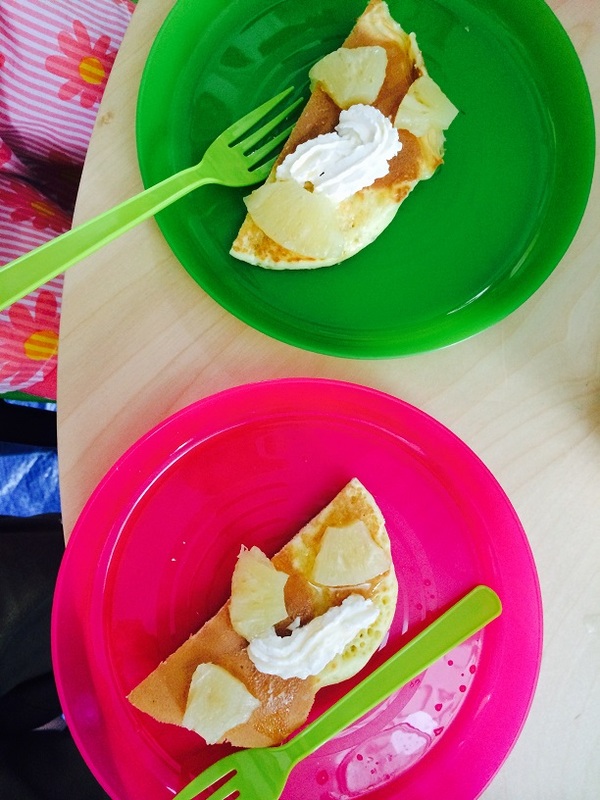 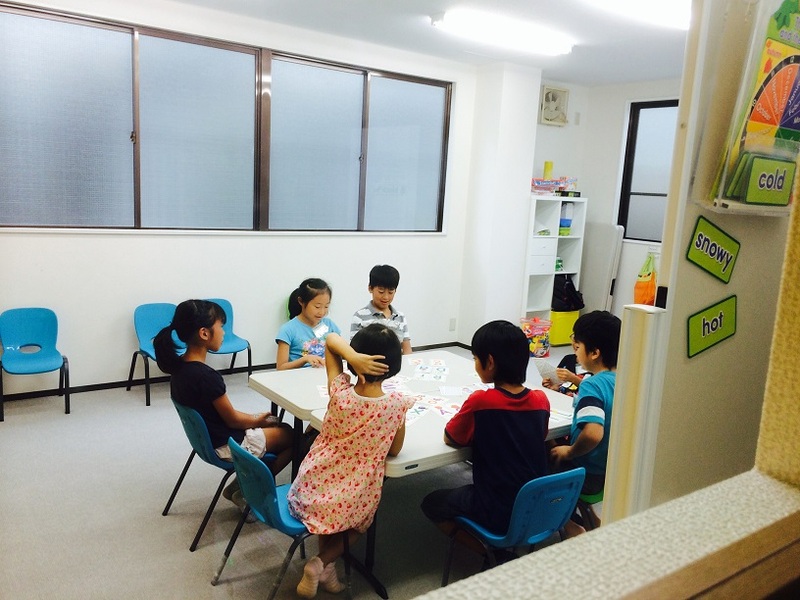 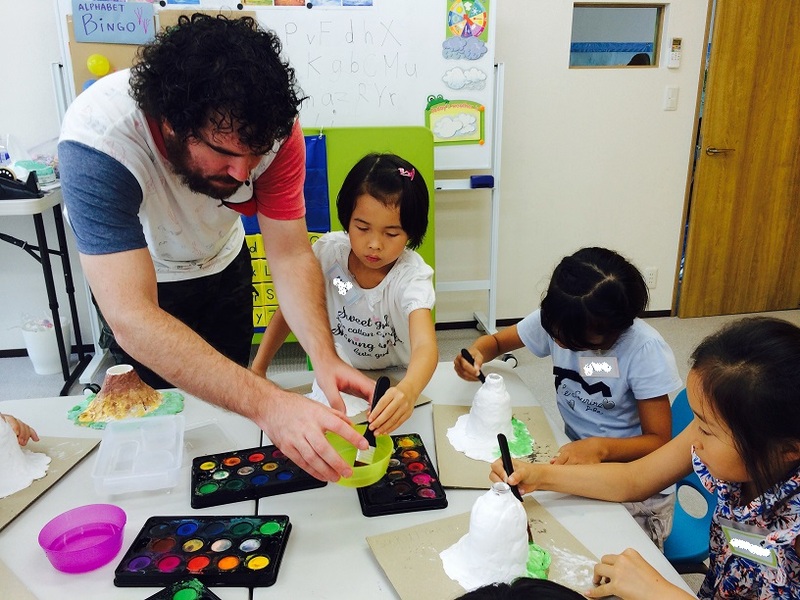 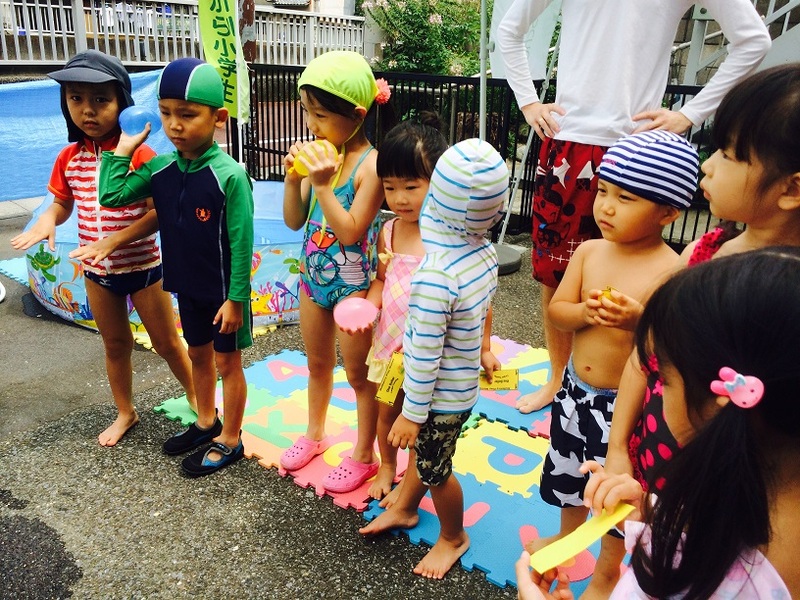 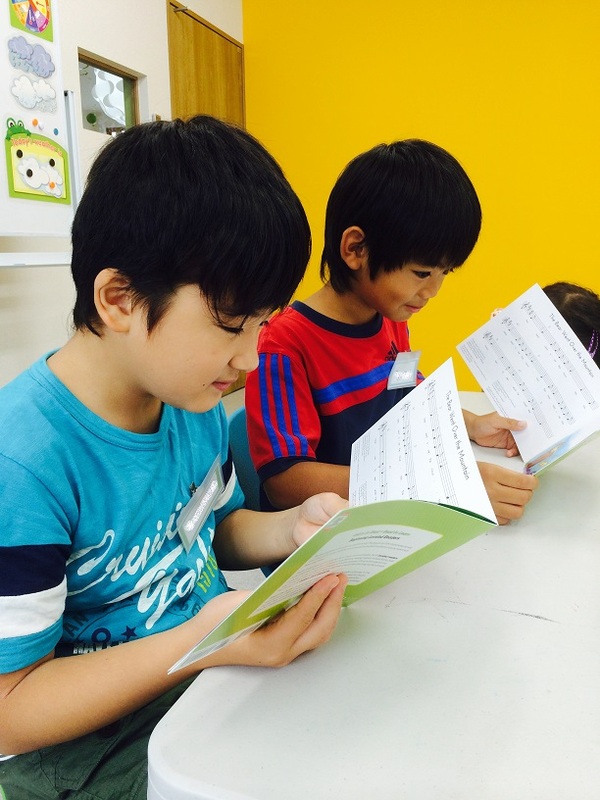 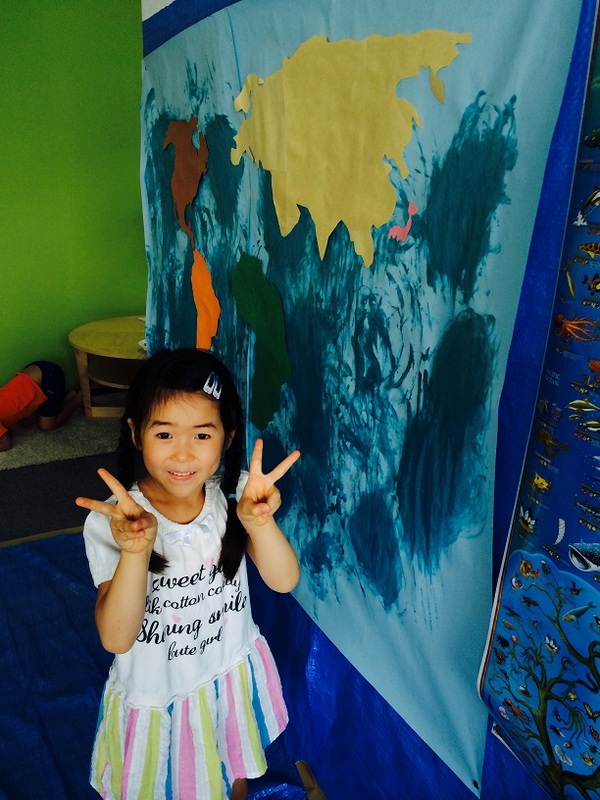 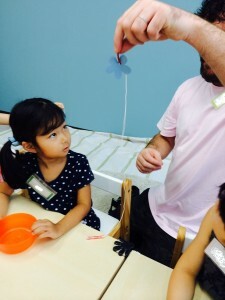 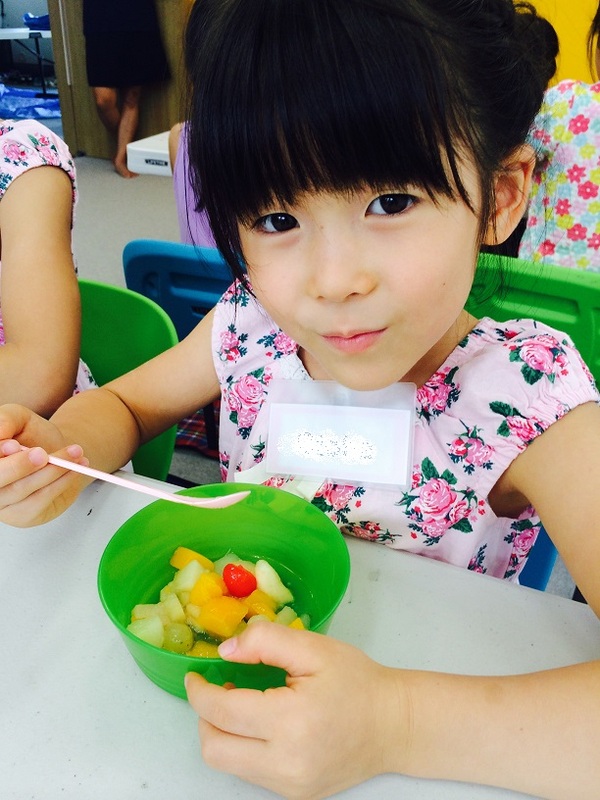 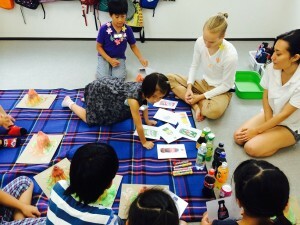 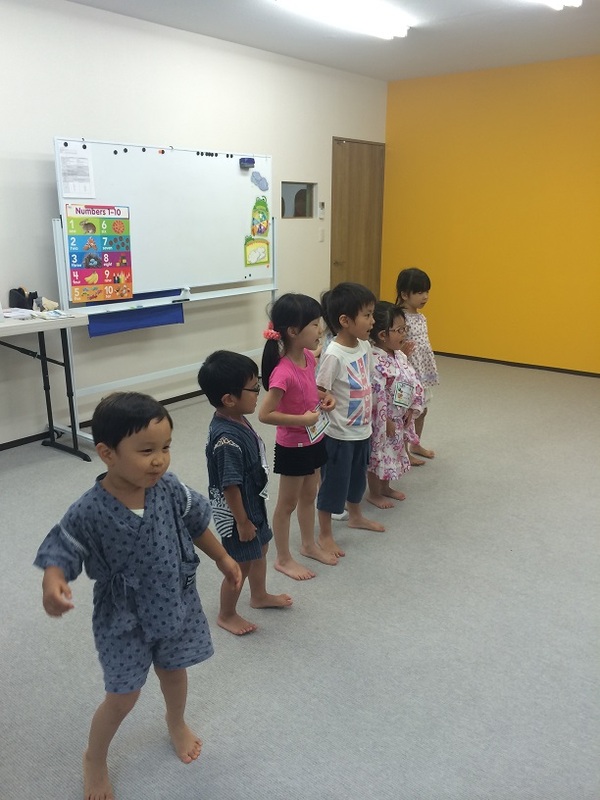 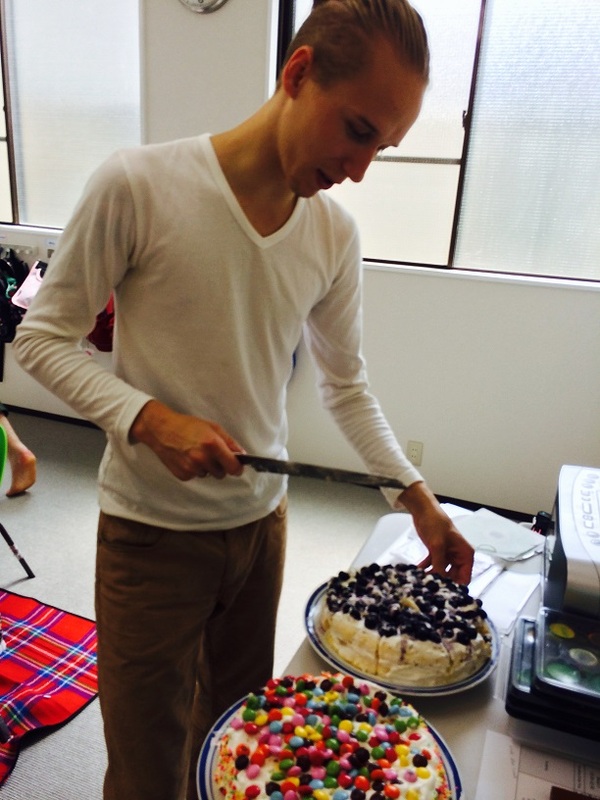 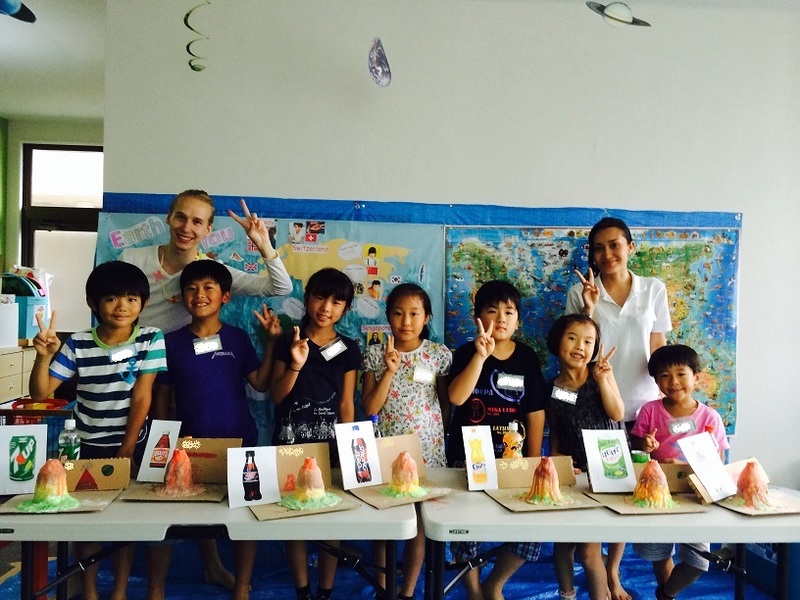 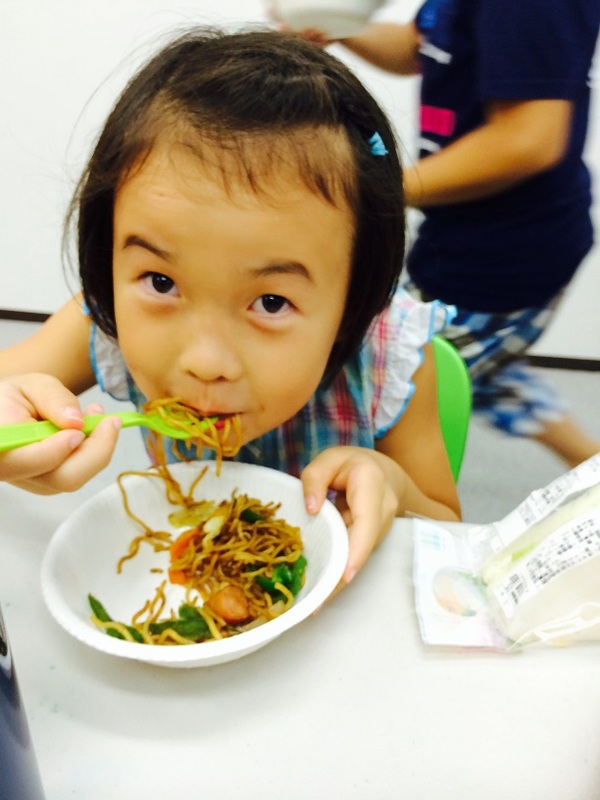 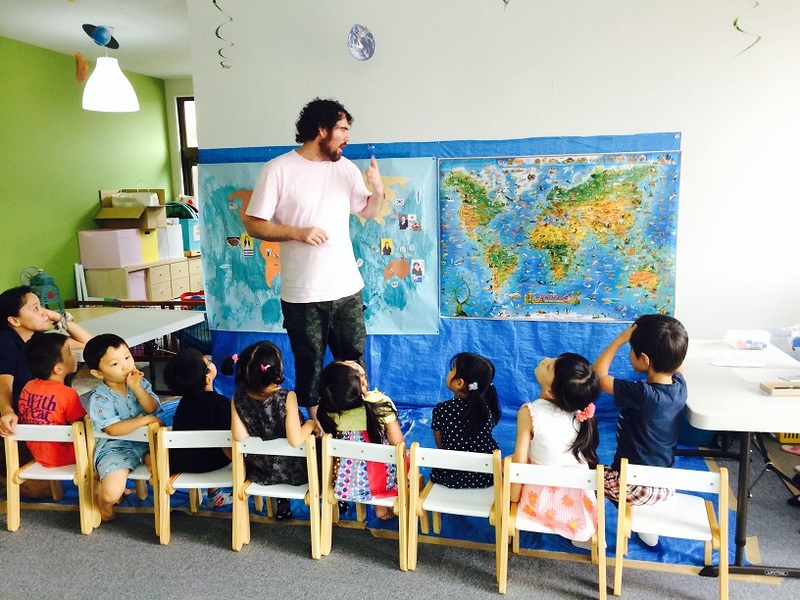 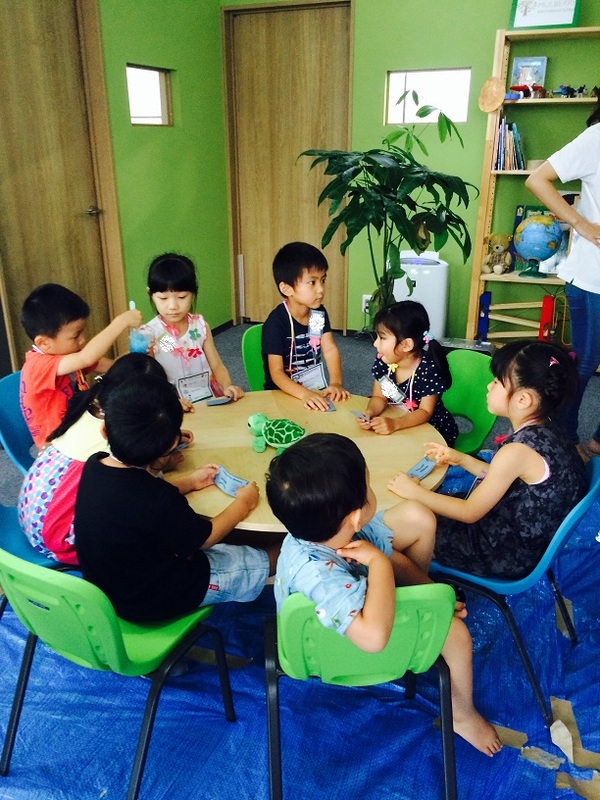 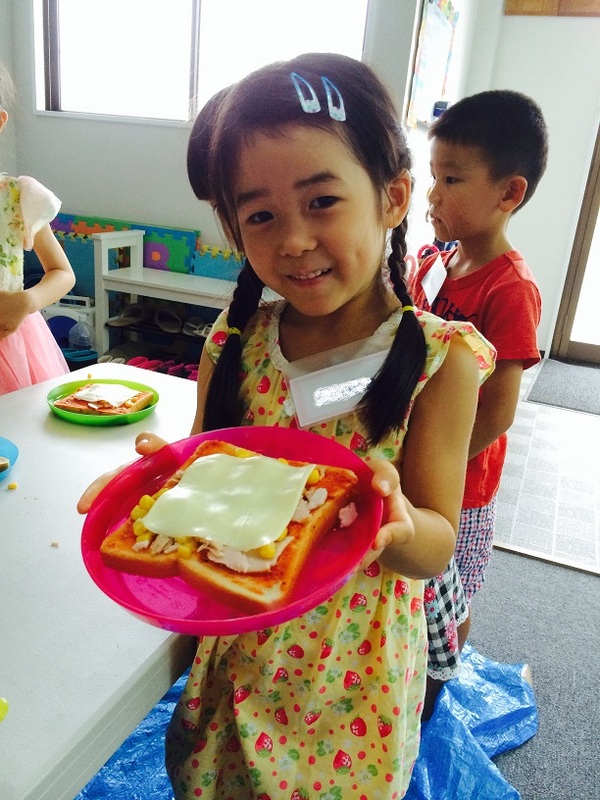 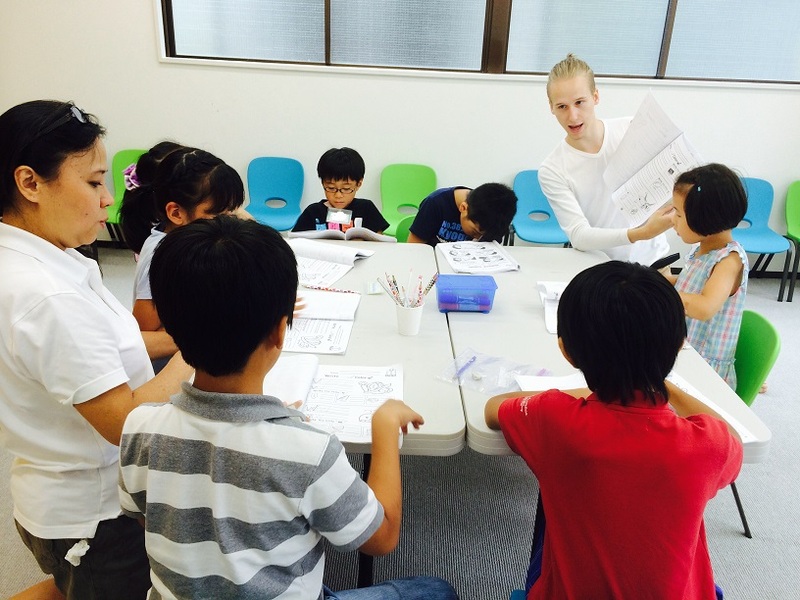 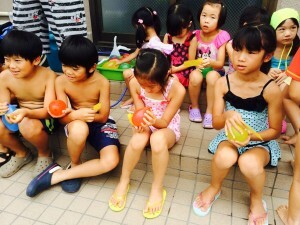 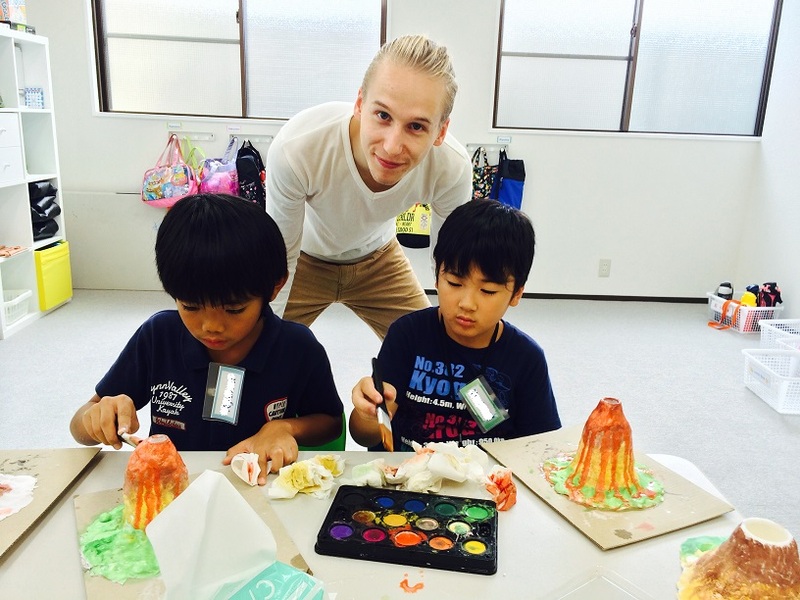 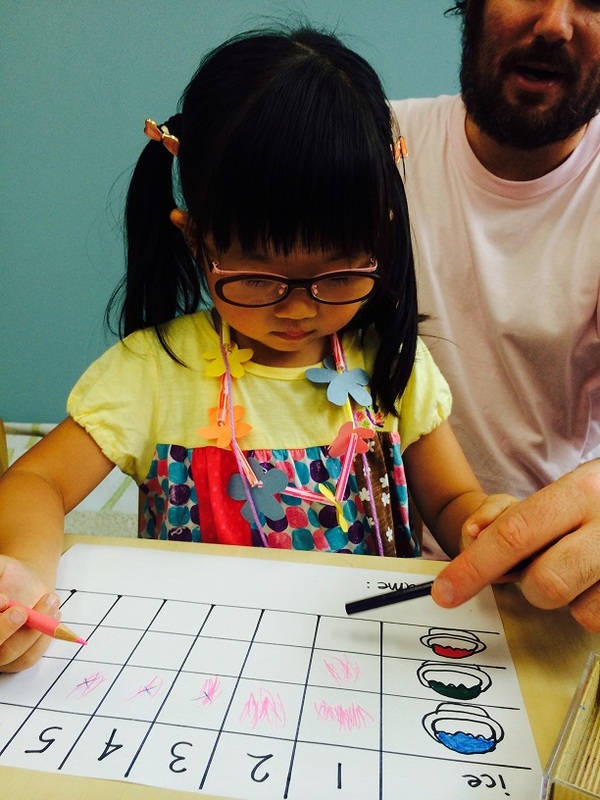 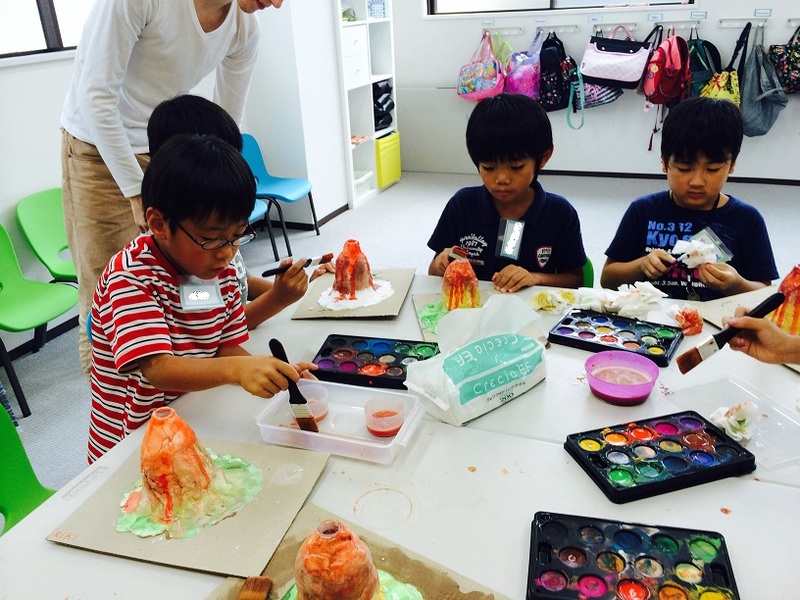 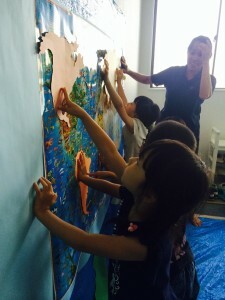 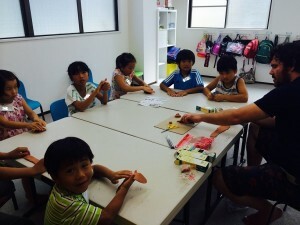 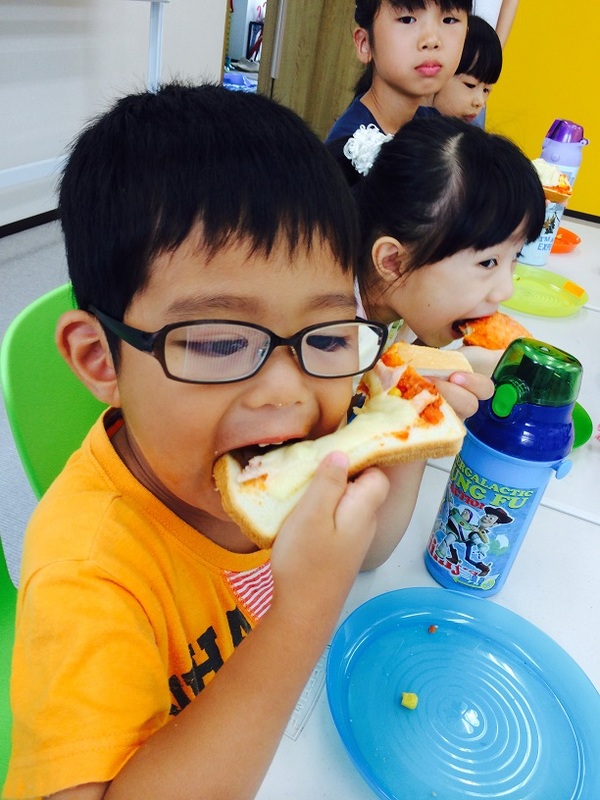 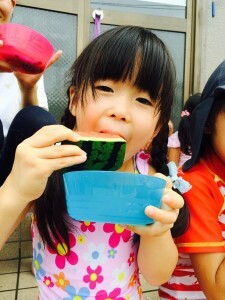 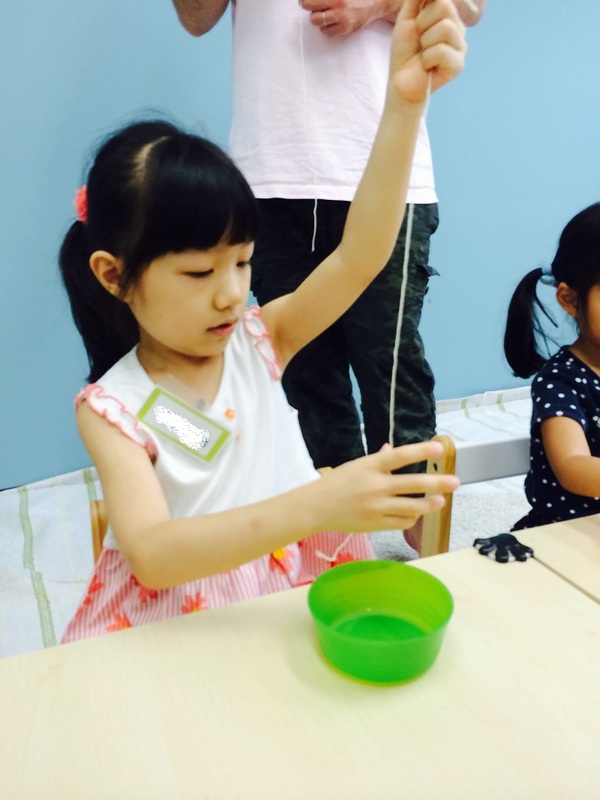 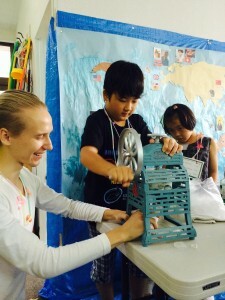 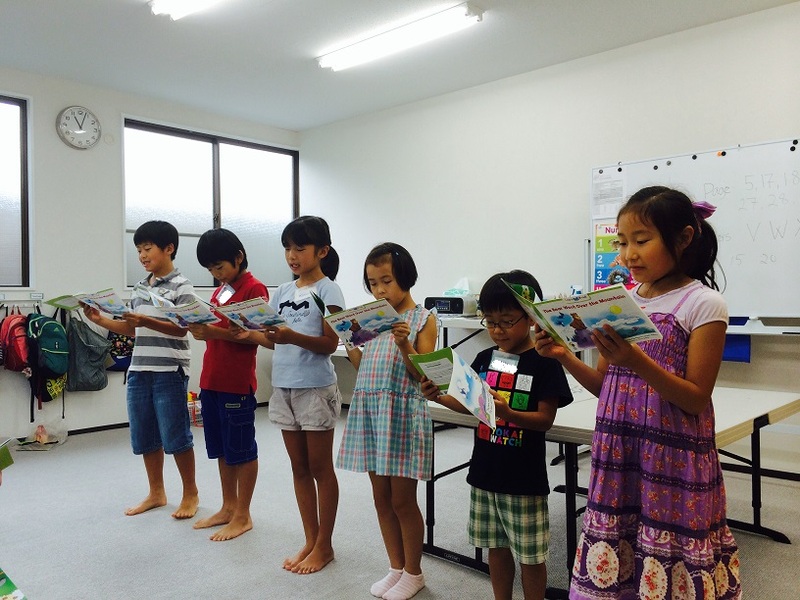 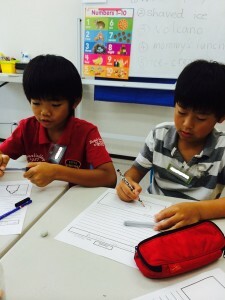 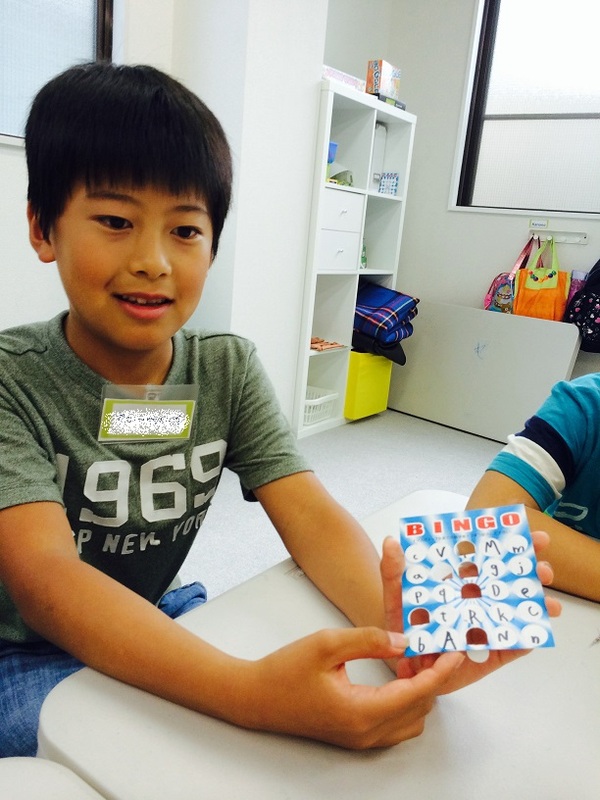 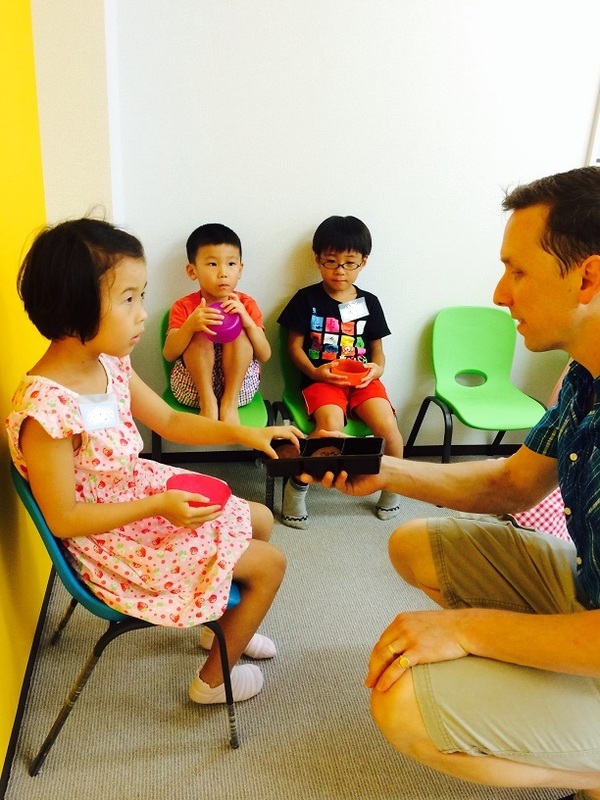 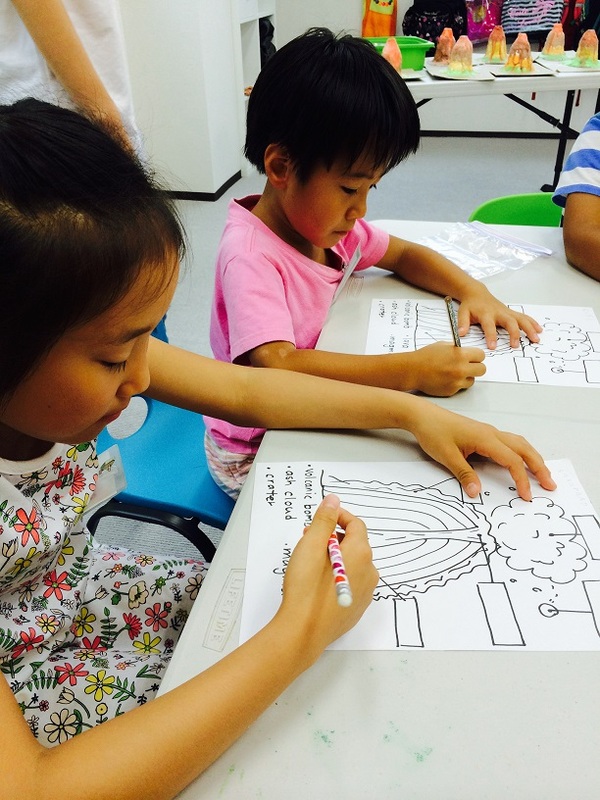 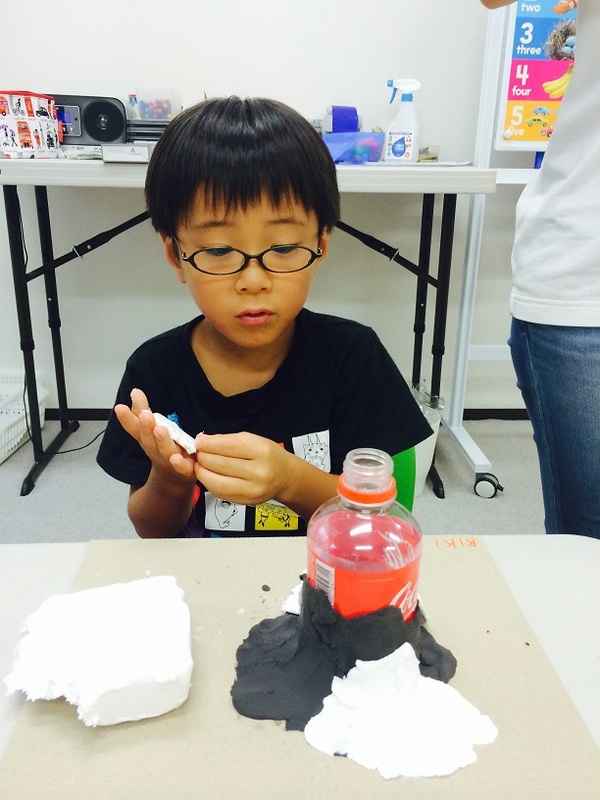 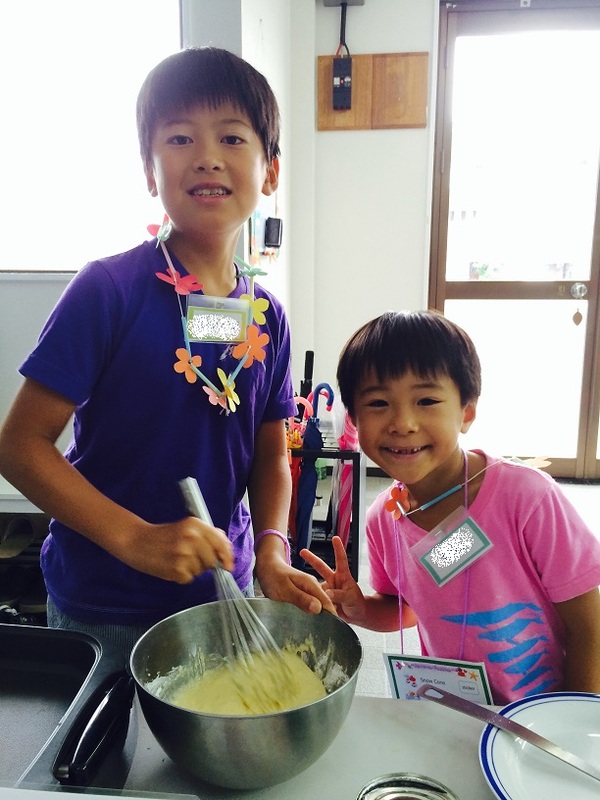 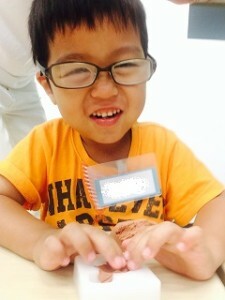 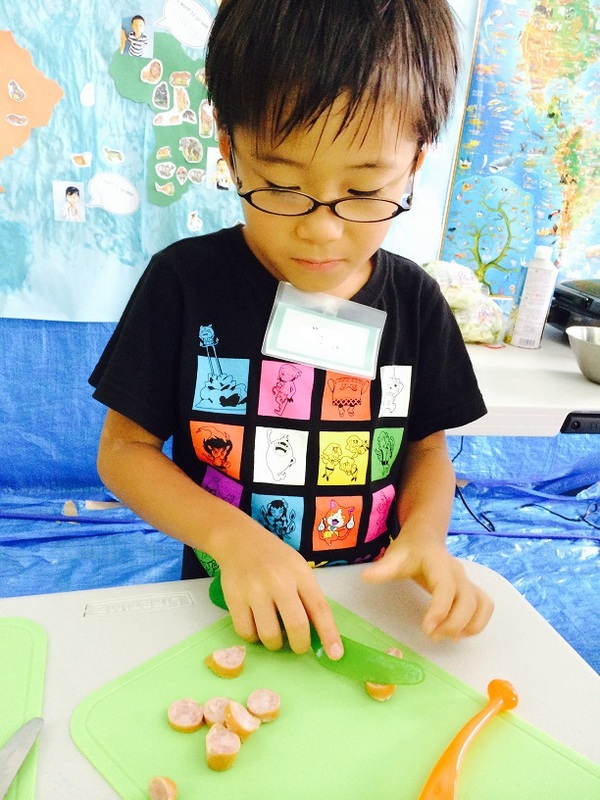 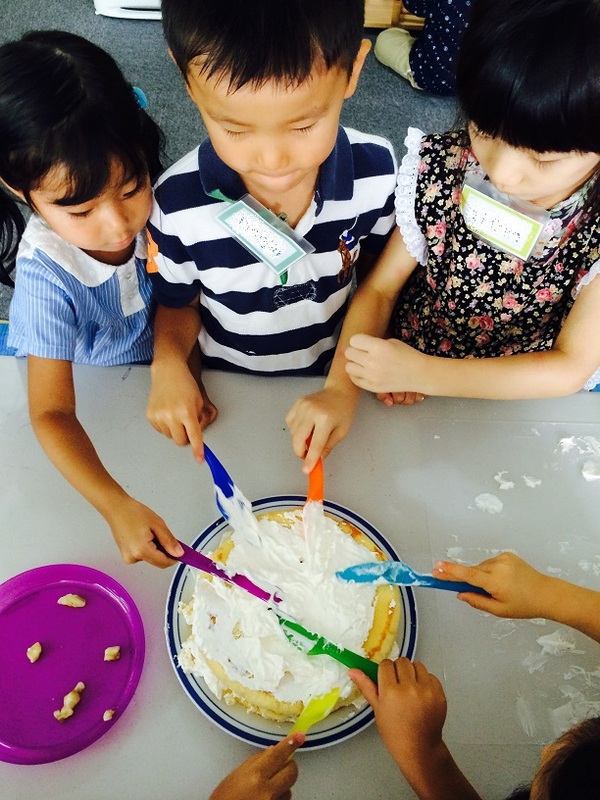 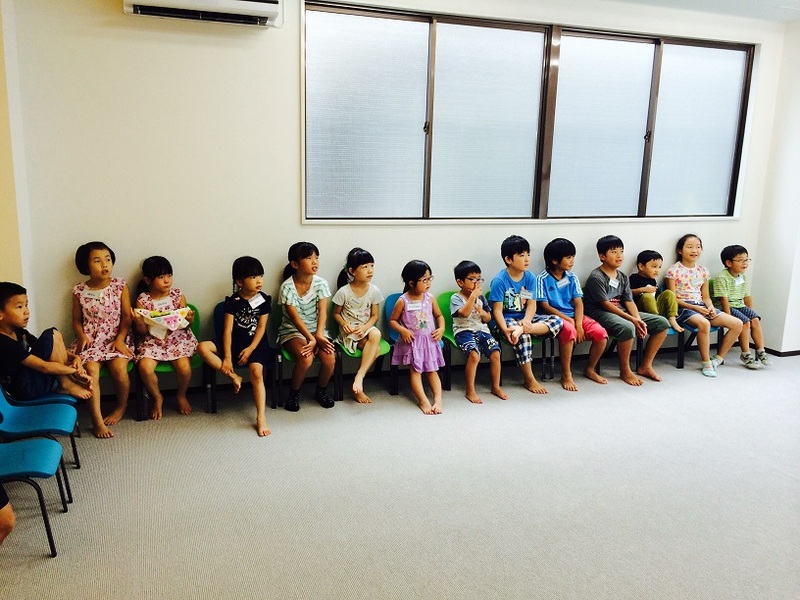 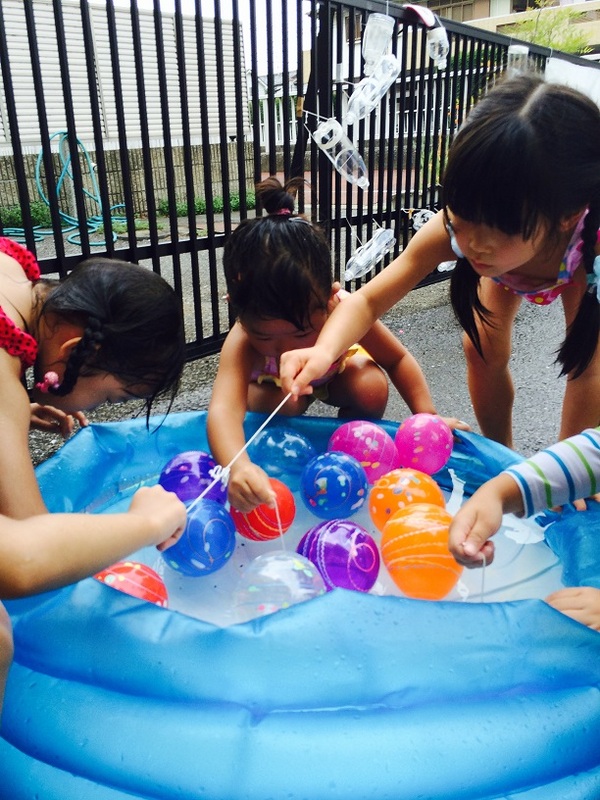 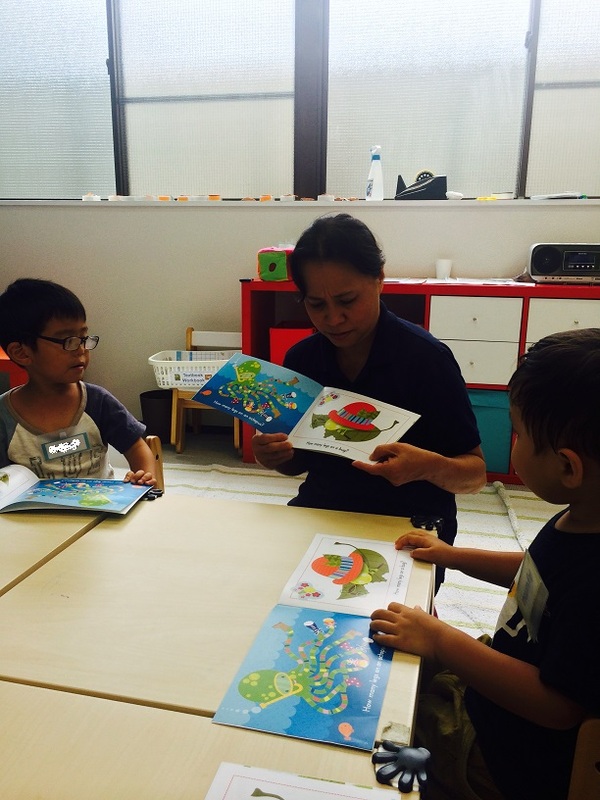 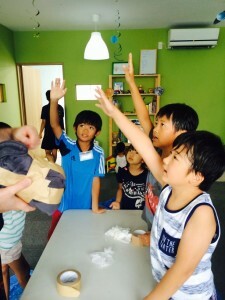 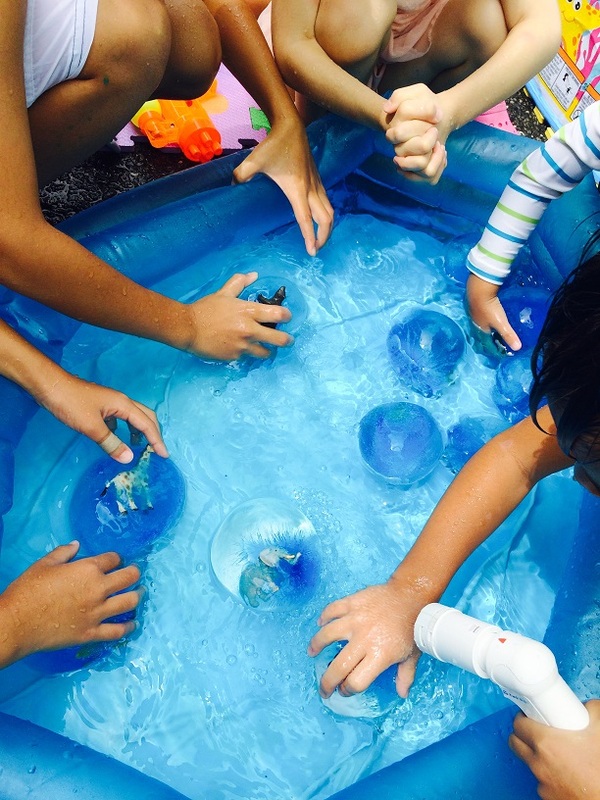 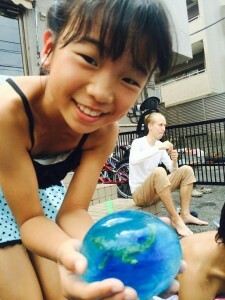 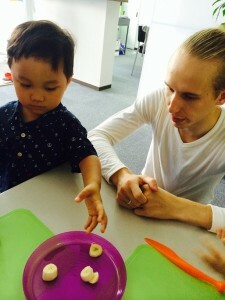 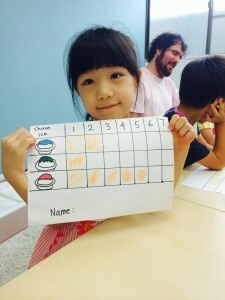 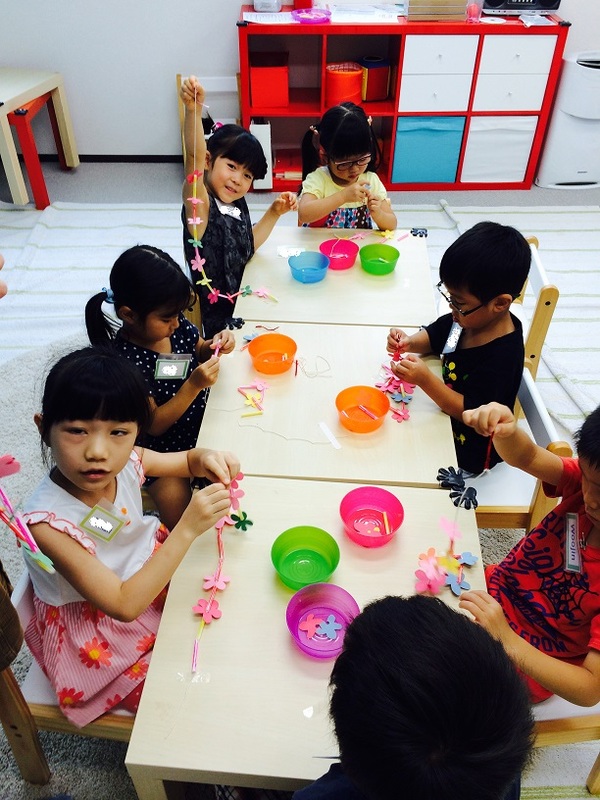 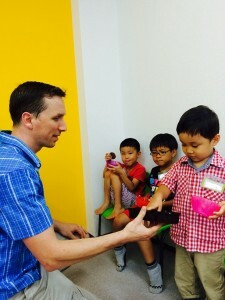 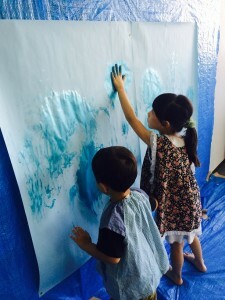 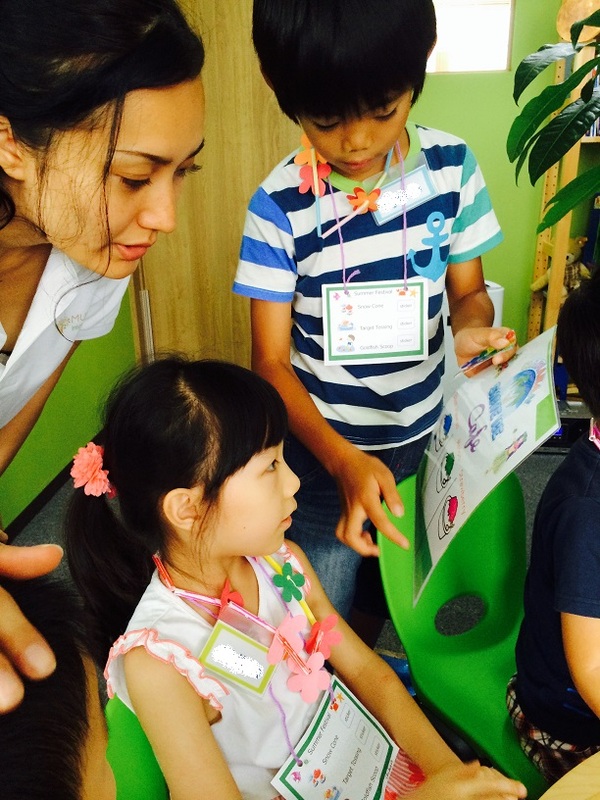 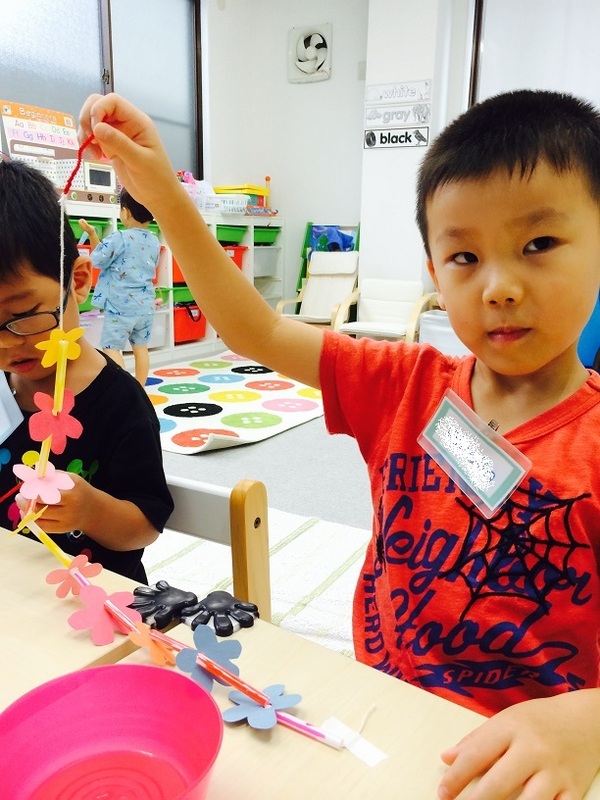 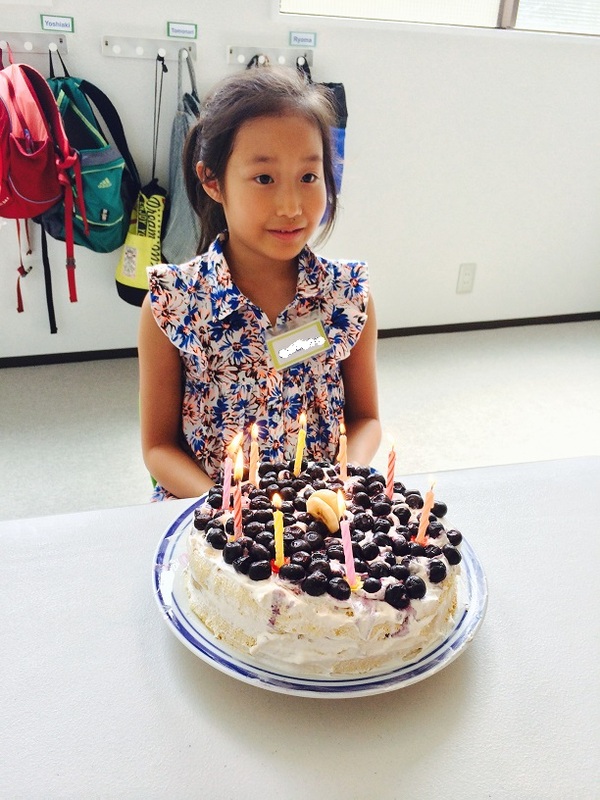 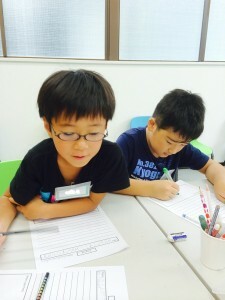 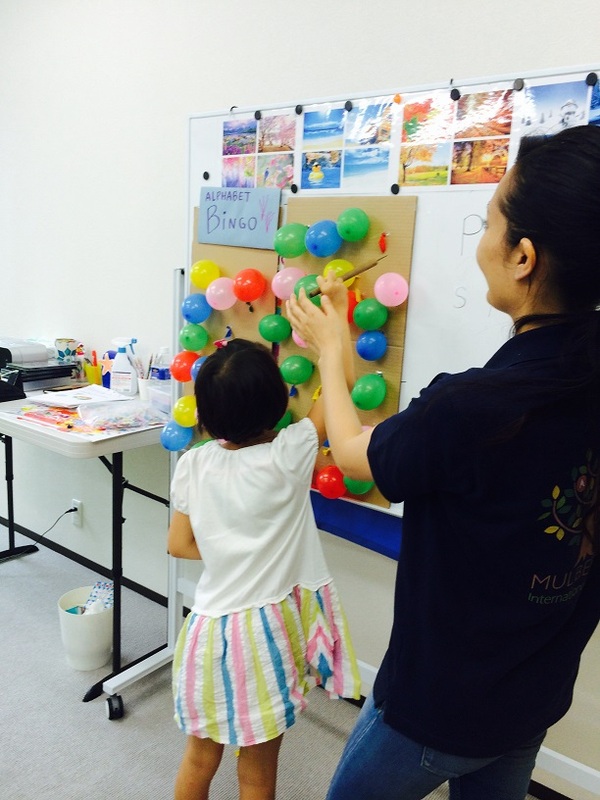 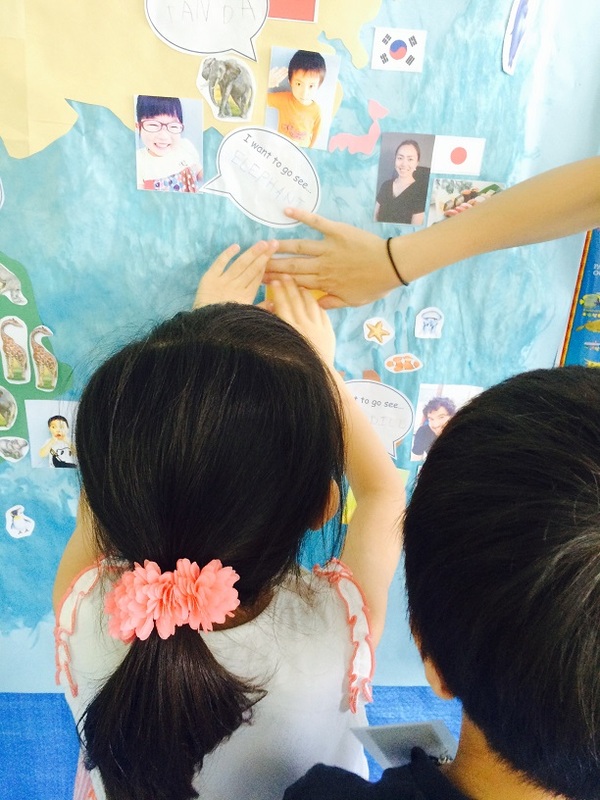 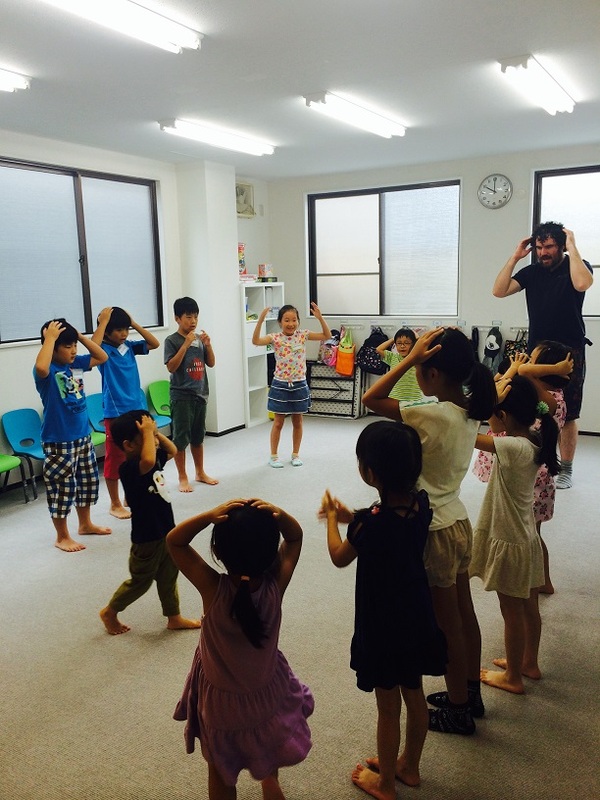 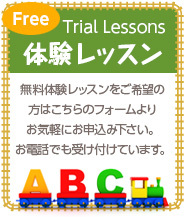 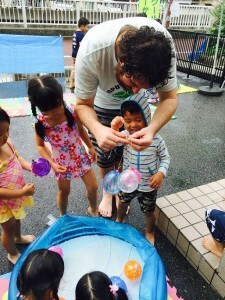 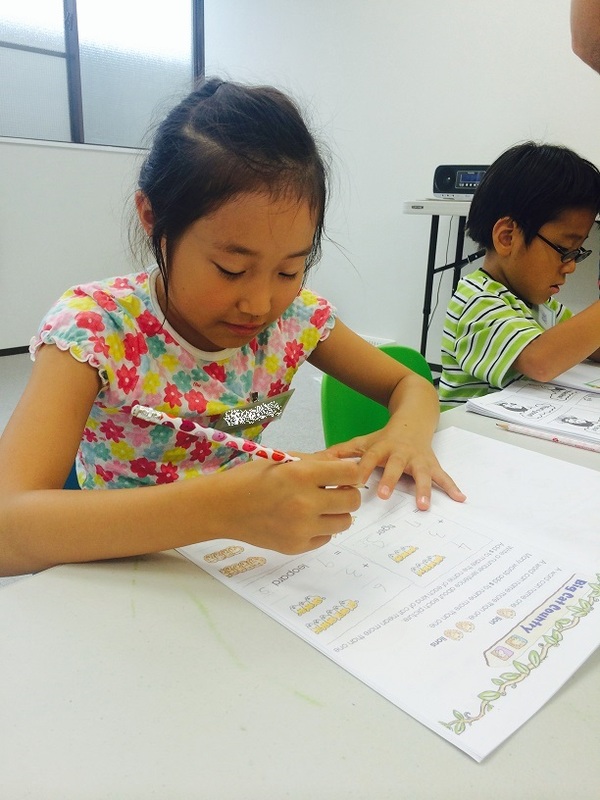 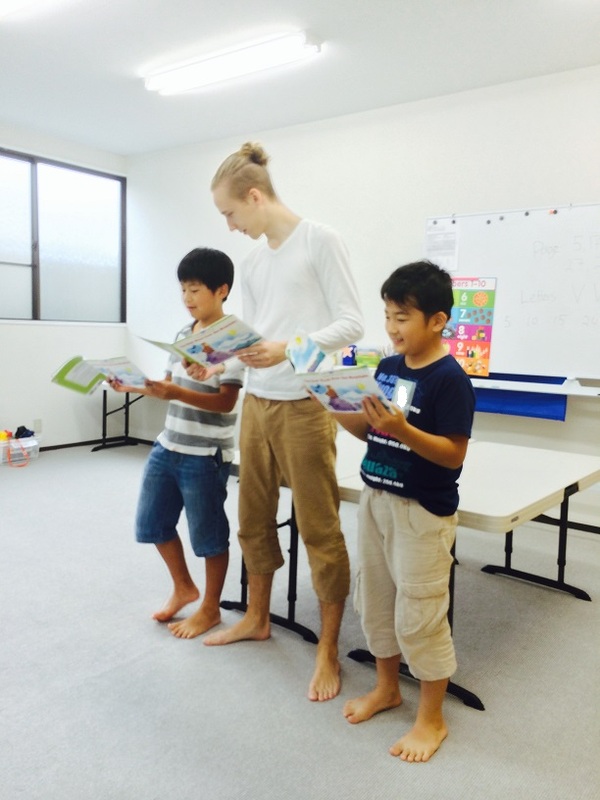 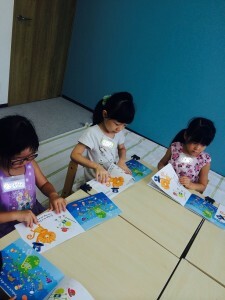 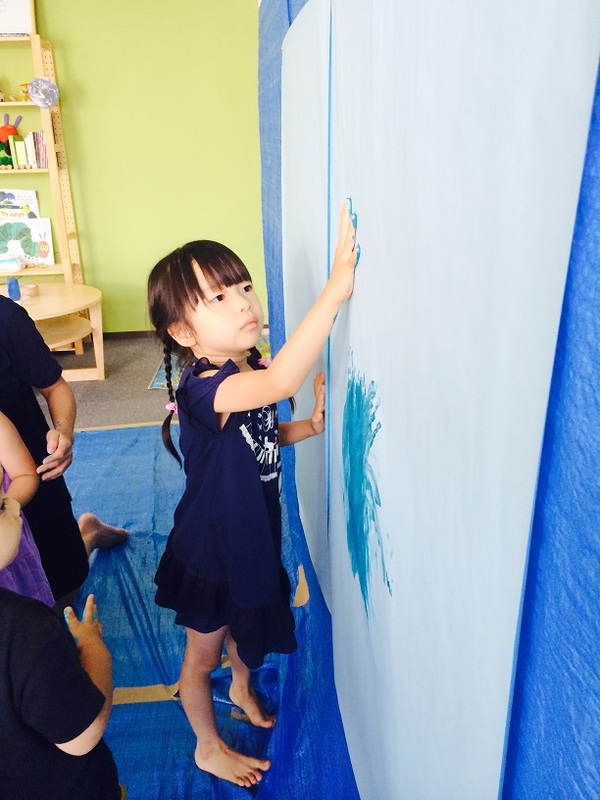 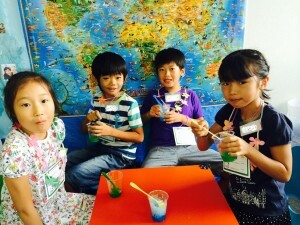 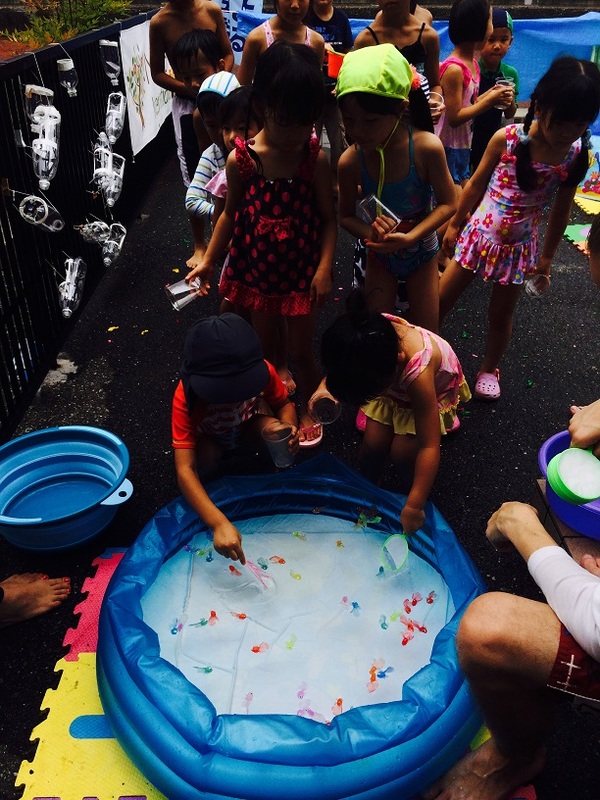 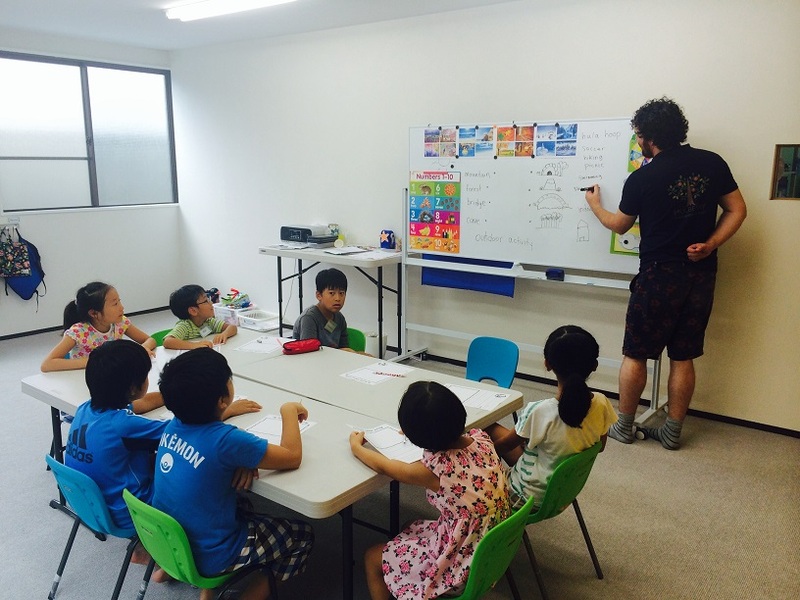 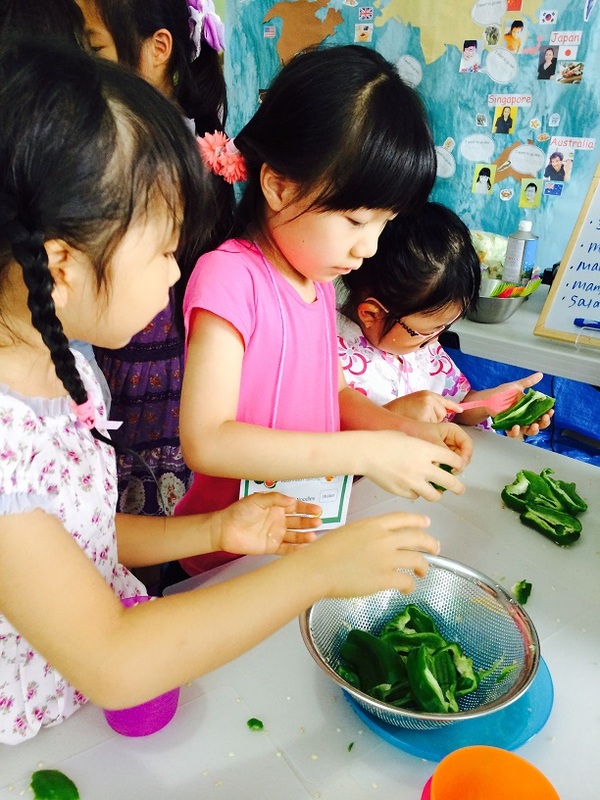 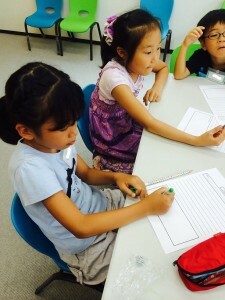 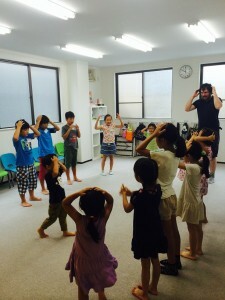 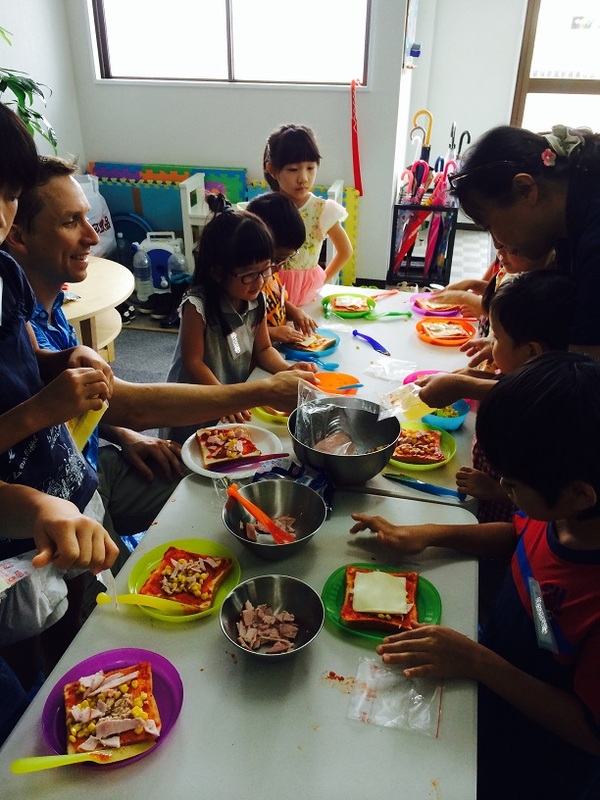 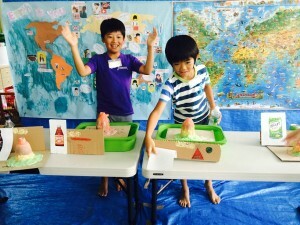 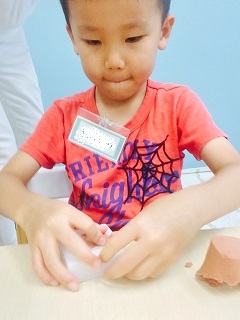 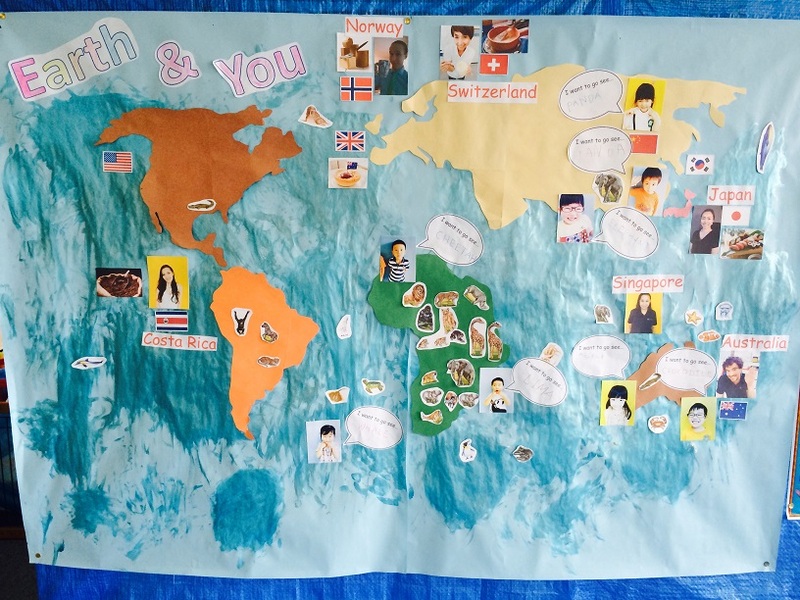 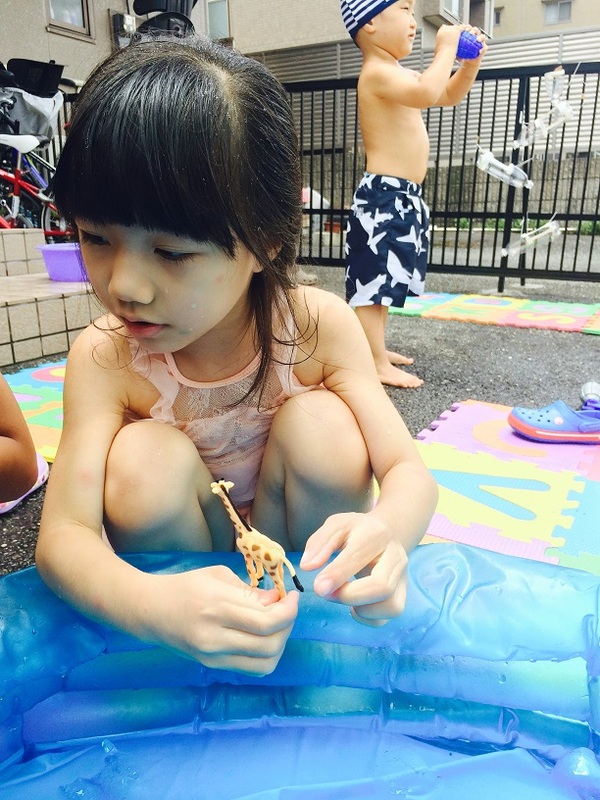 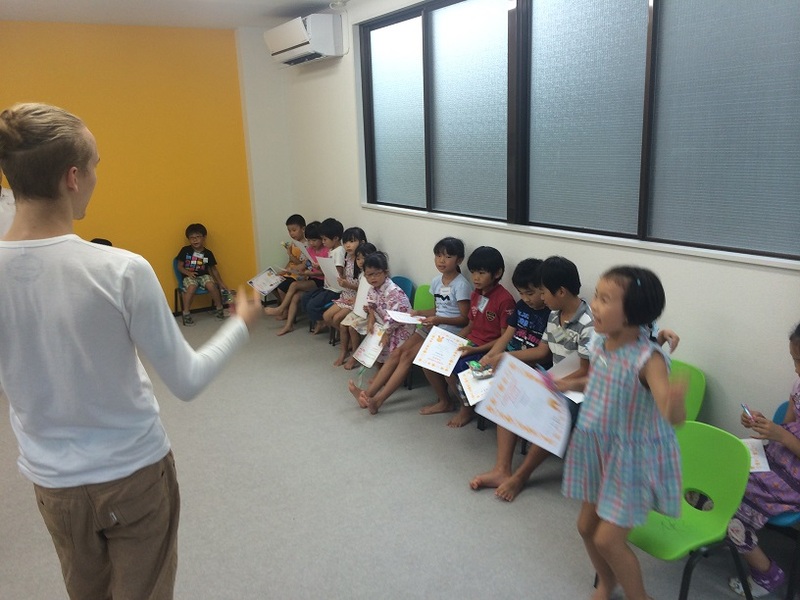 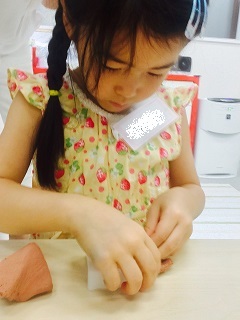 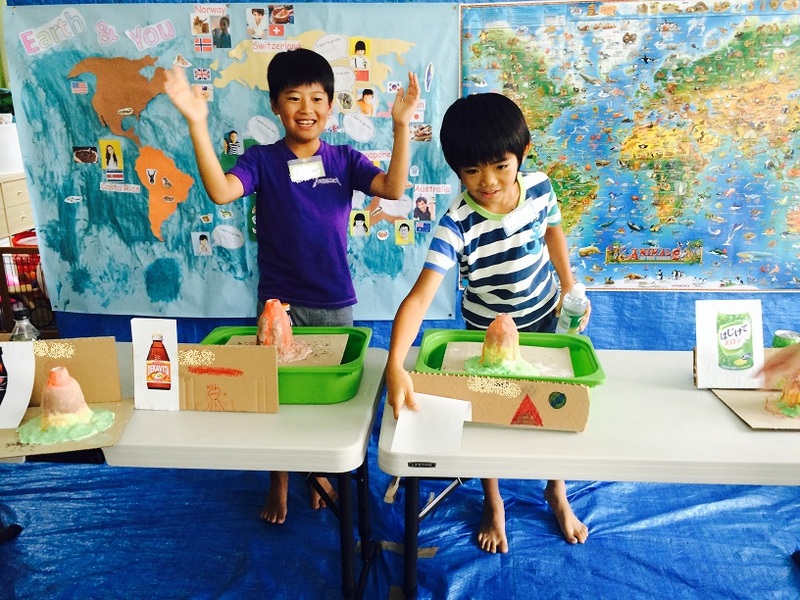 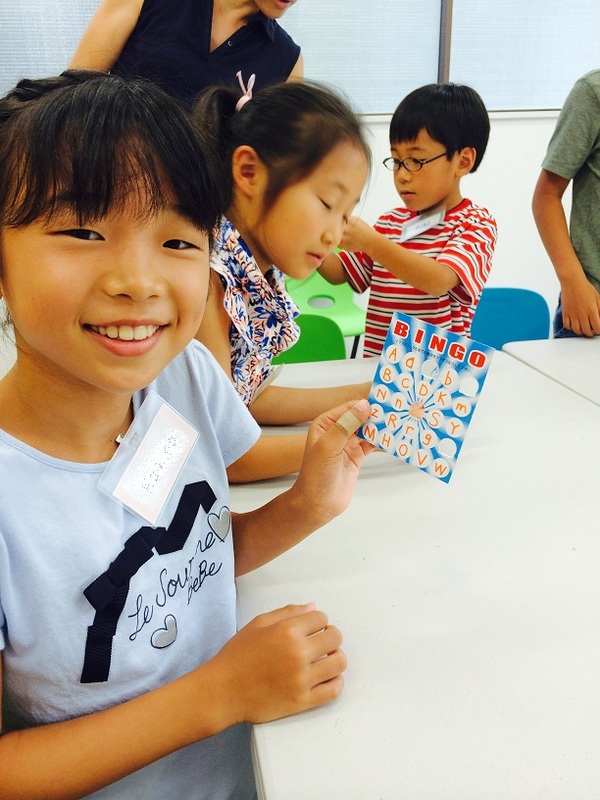 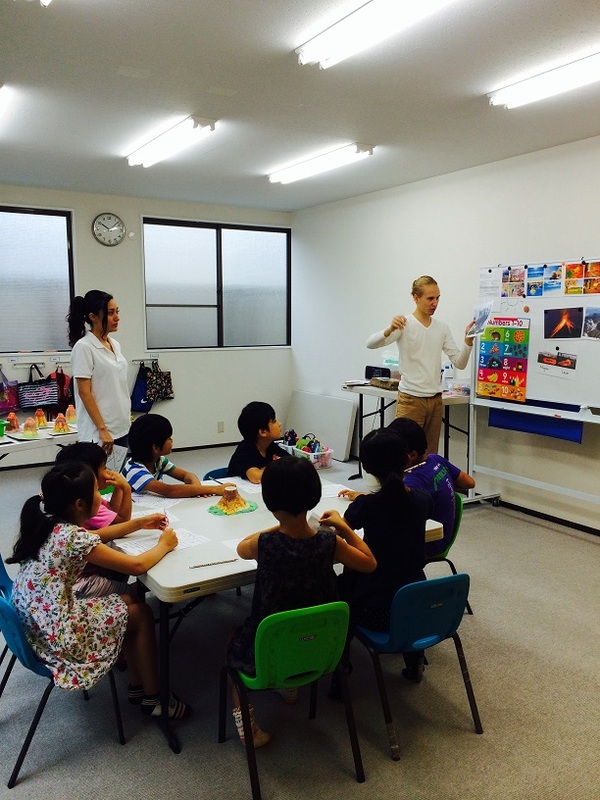 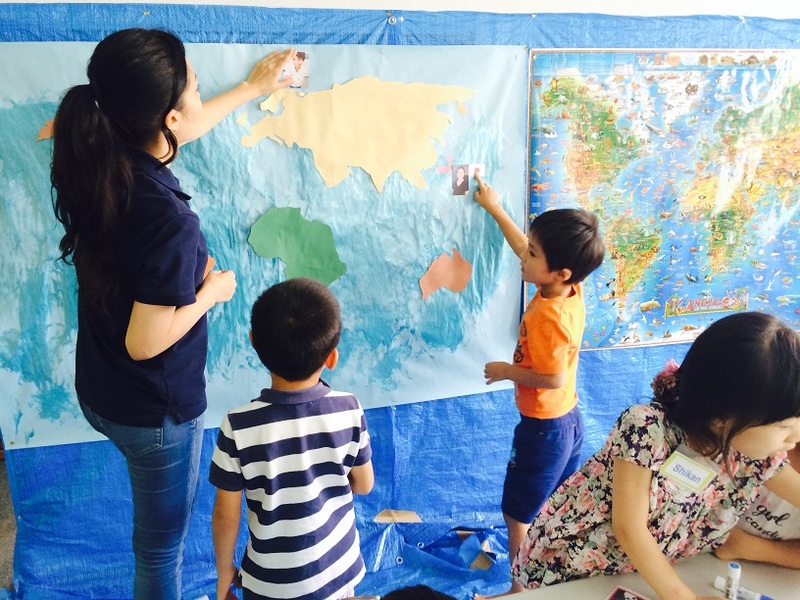 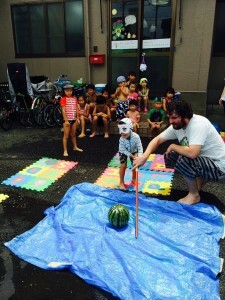 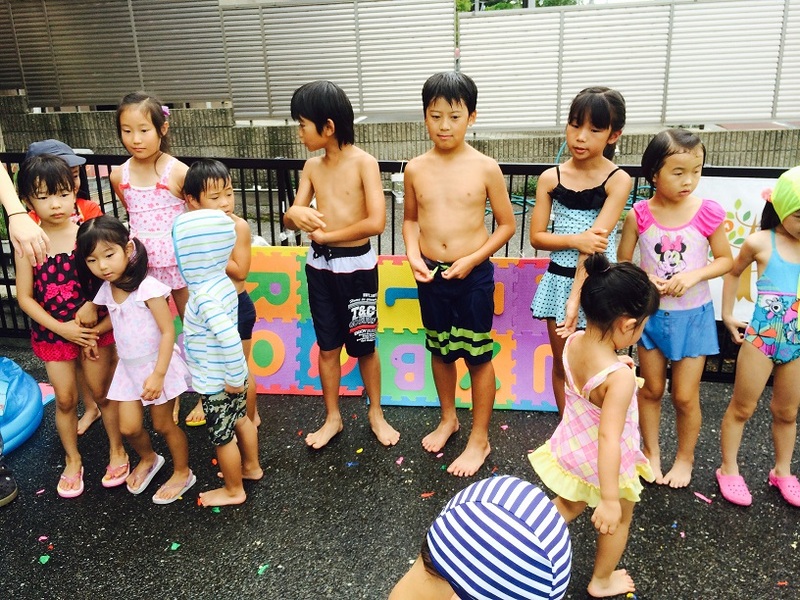 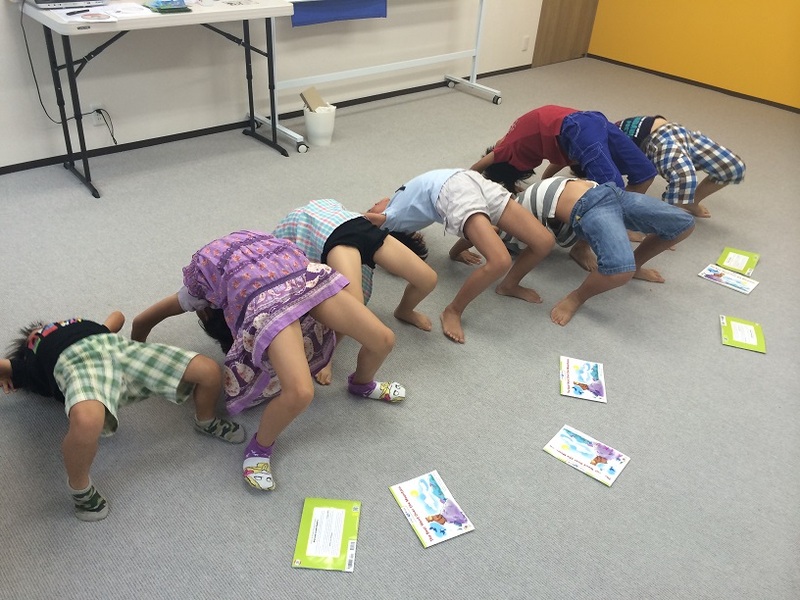 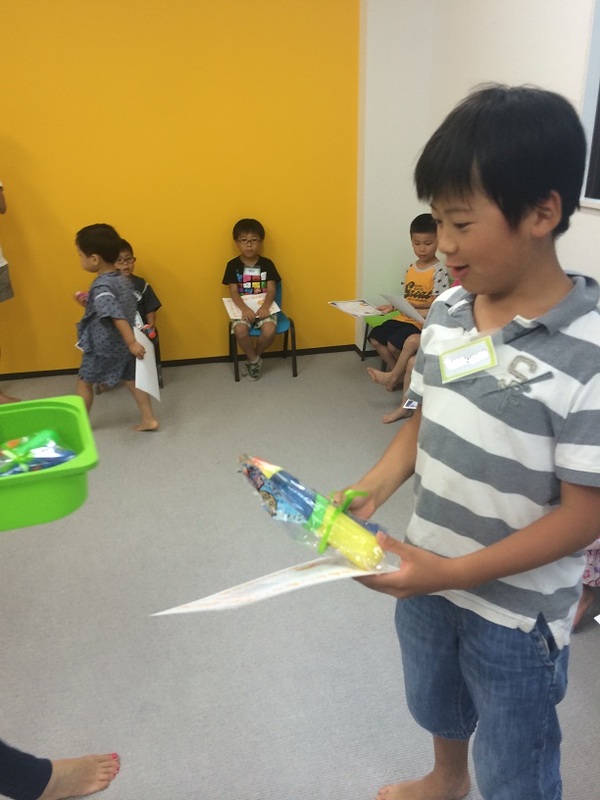 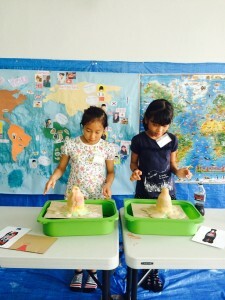 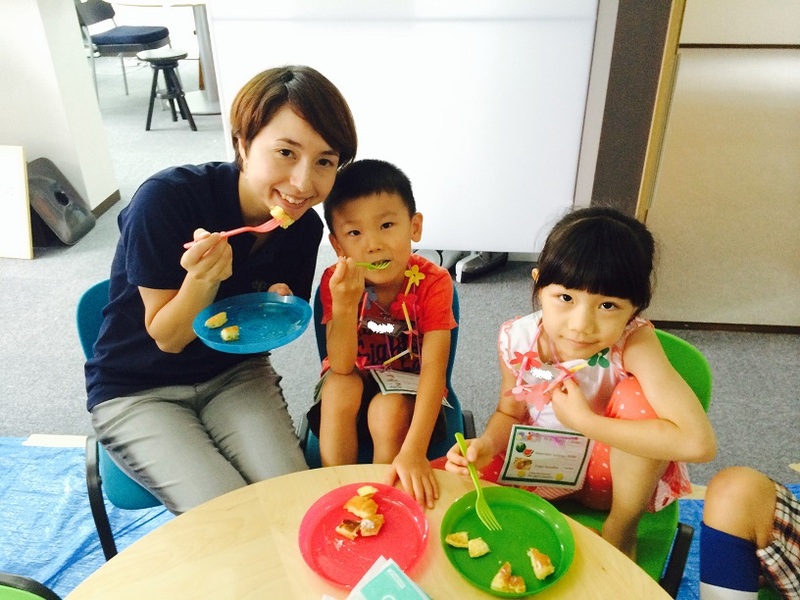 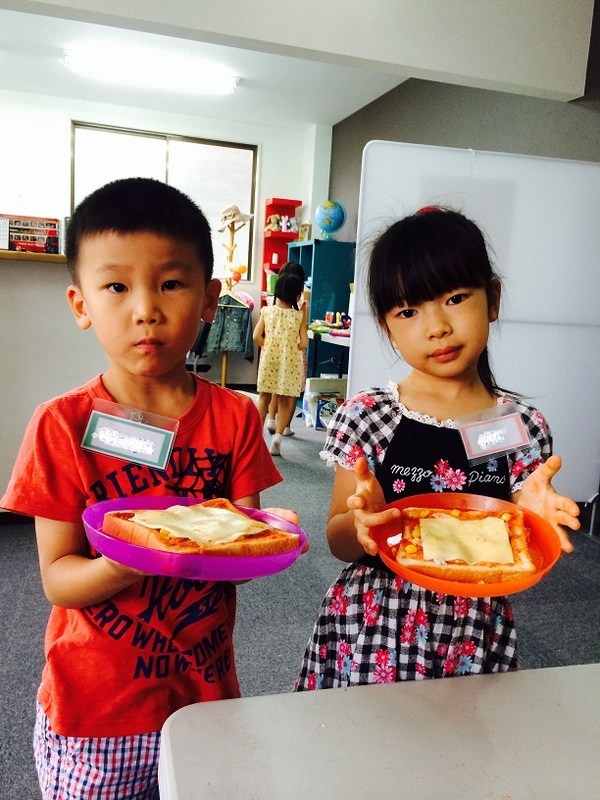 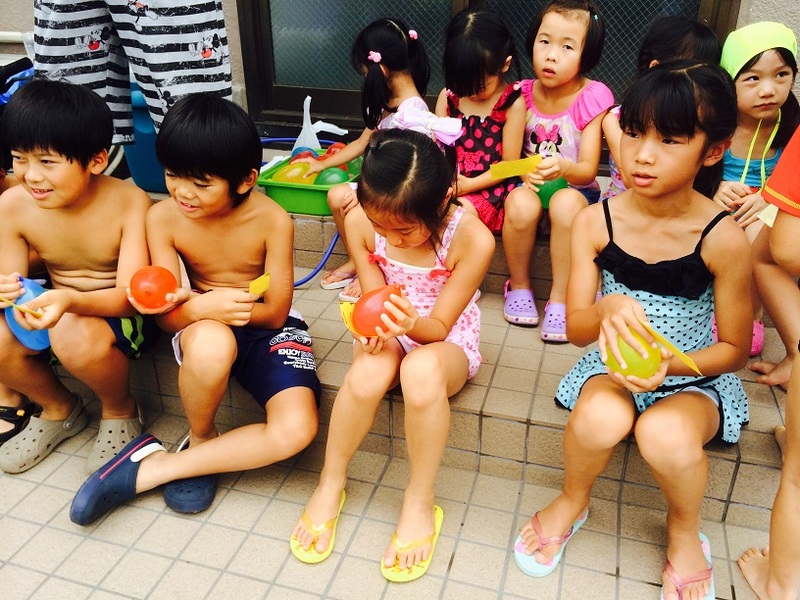 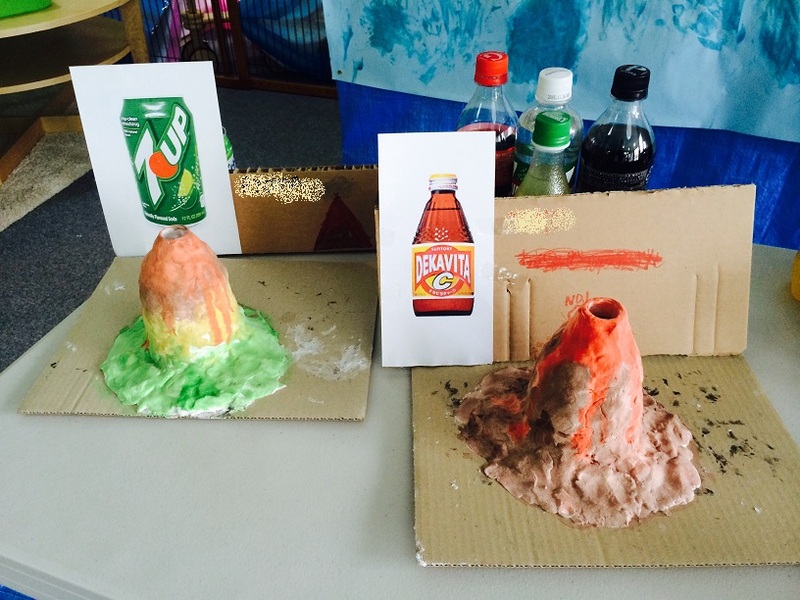 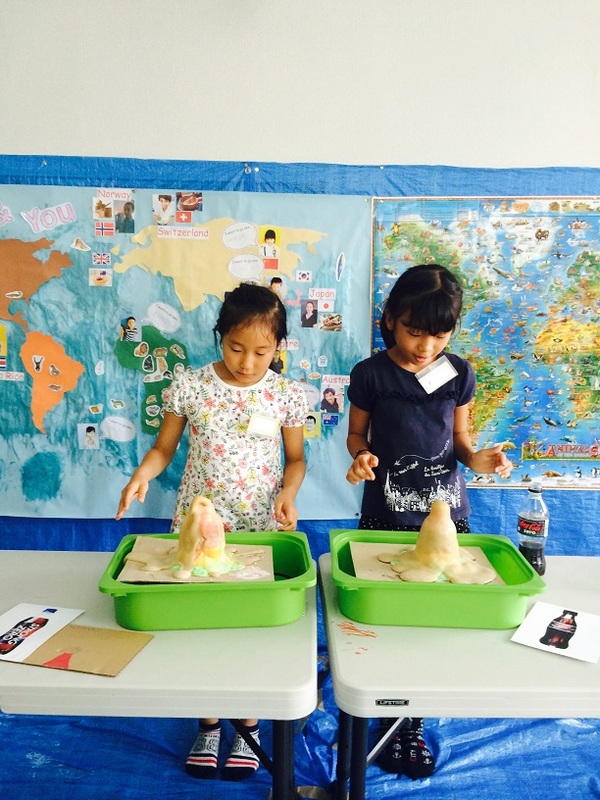 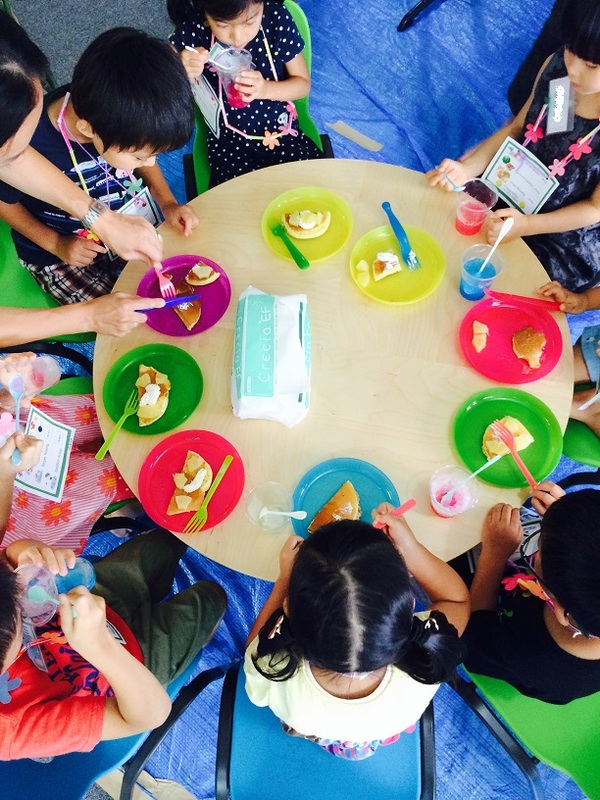 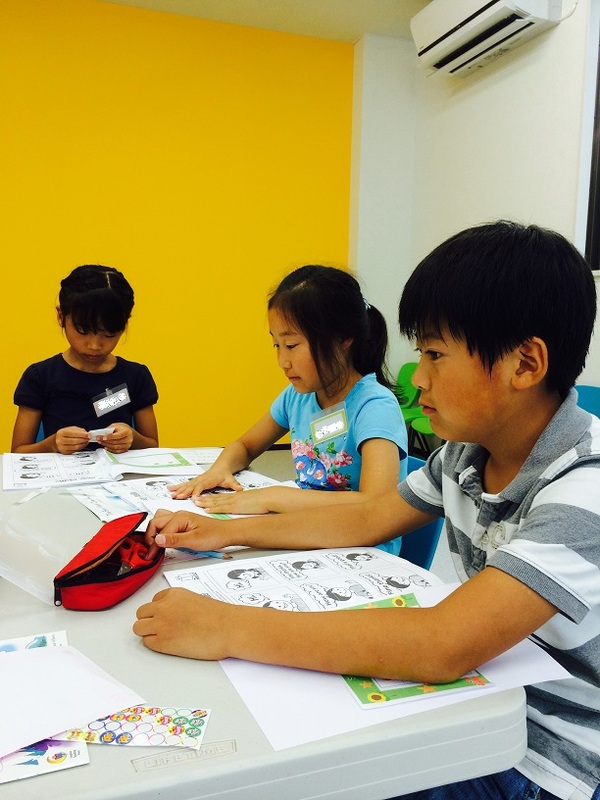 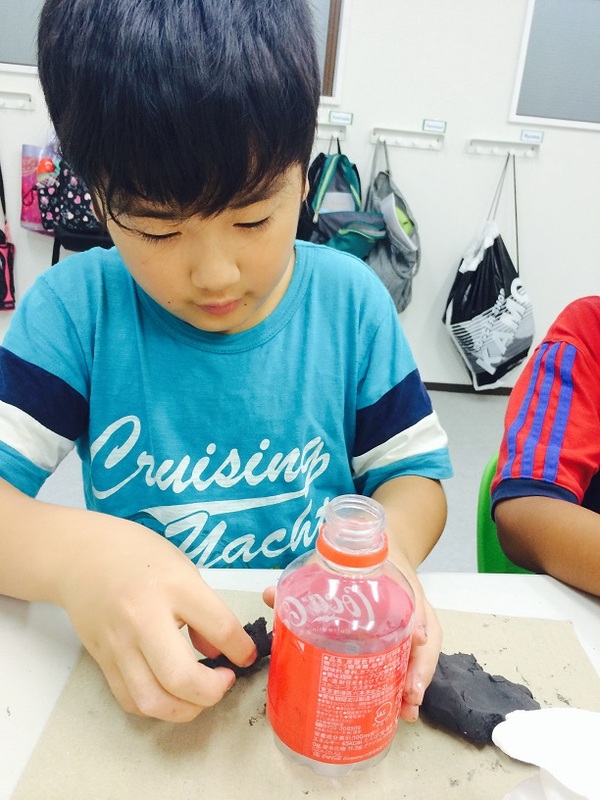 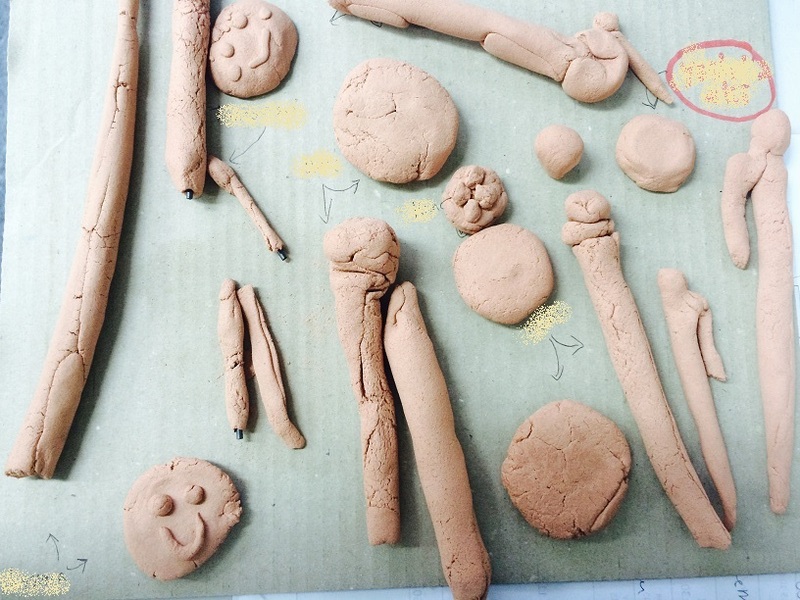 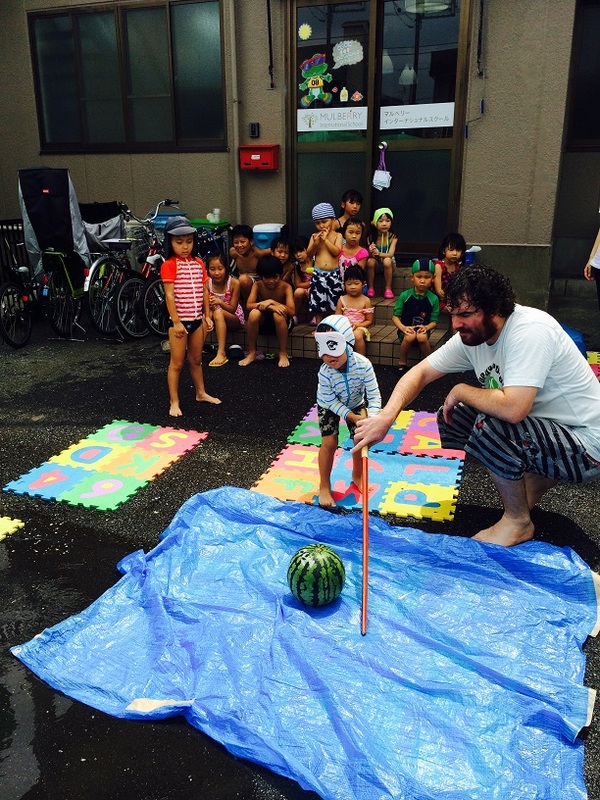 I have been helping Japanese children with the most frequently used language of the world since my arrival to Tokyo. 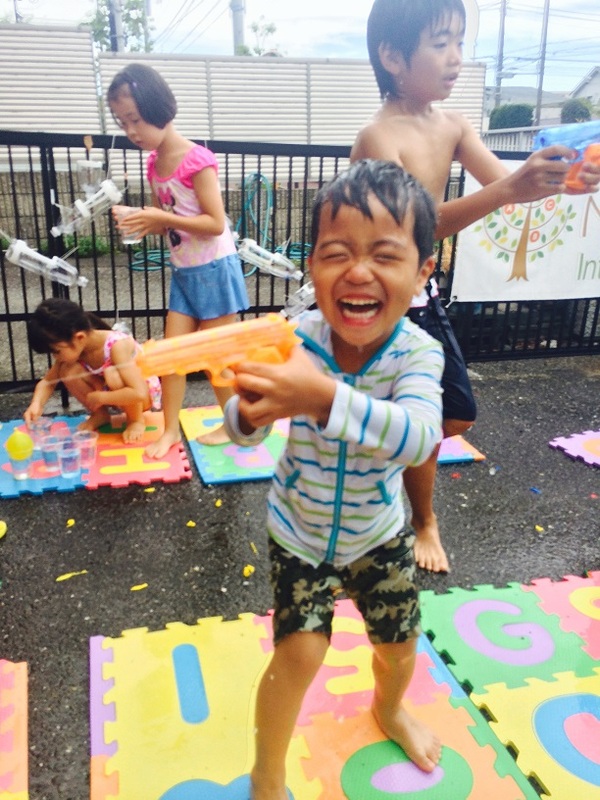 I have three children of my own who have brought me nothing but joy. 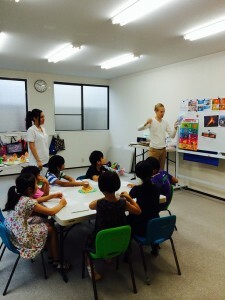 My hobbies are traveling, going to the movies, and playing piano. 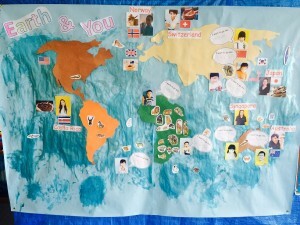 My dream is to travel around the world! 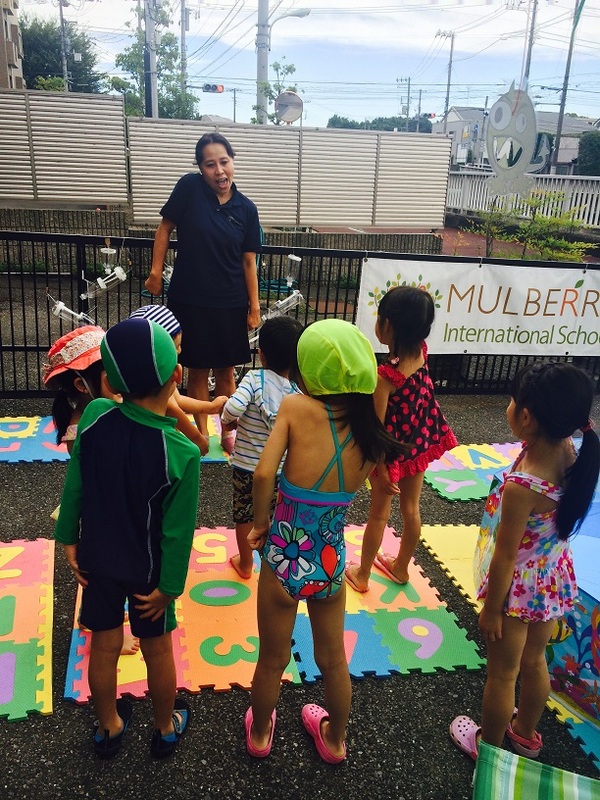 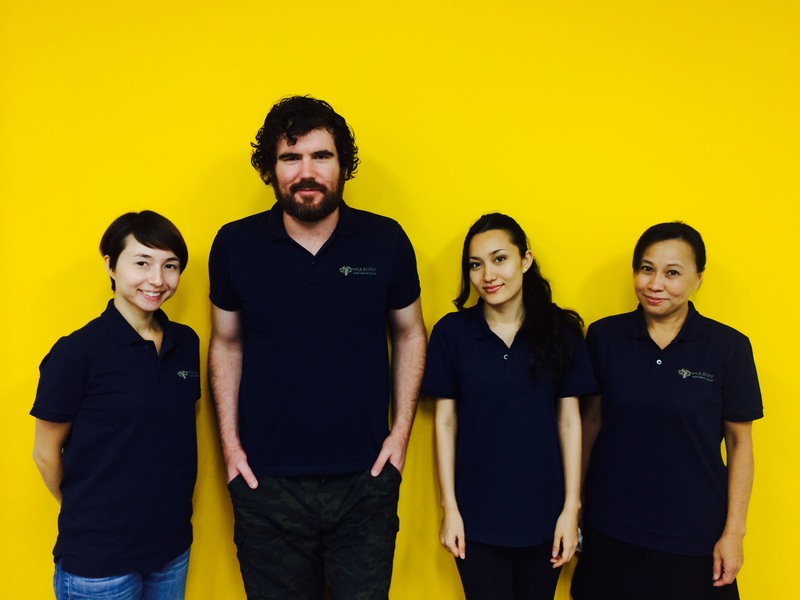 I take pride in being a member of Mulberry International School. 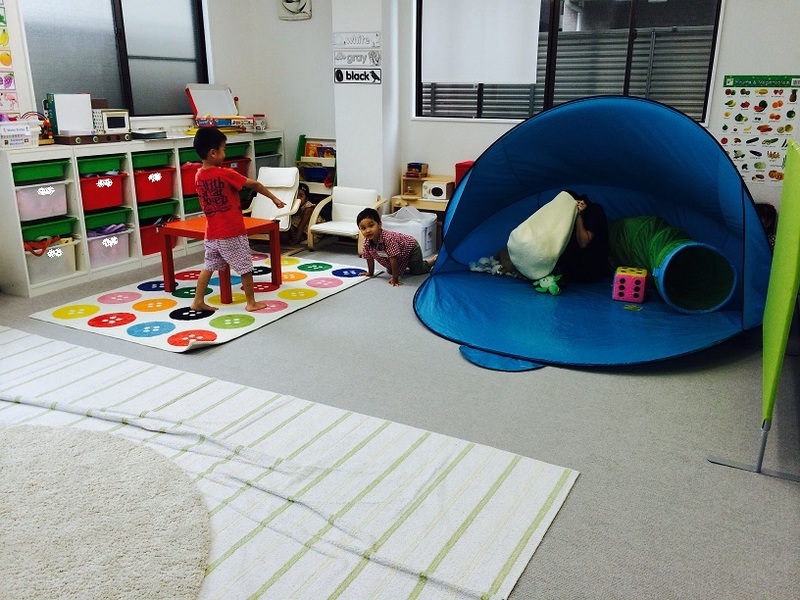 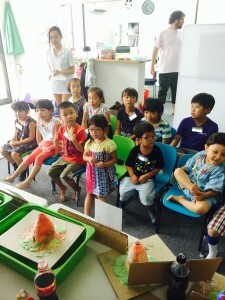 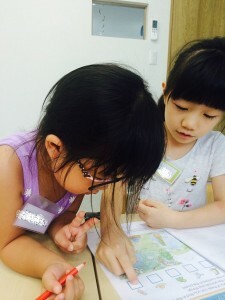 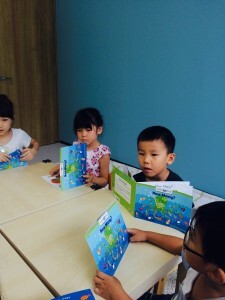 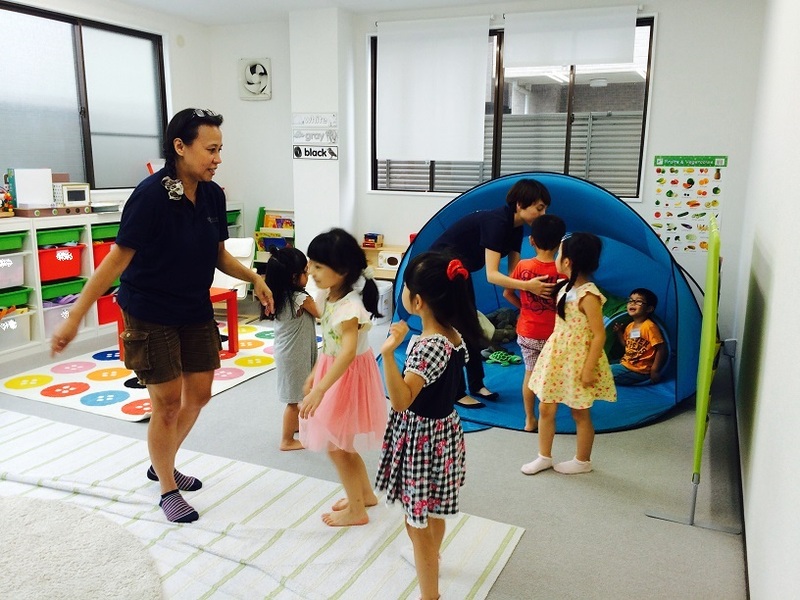 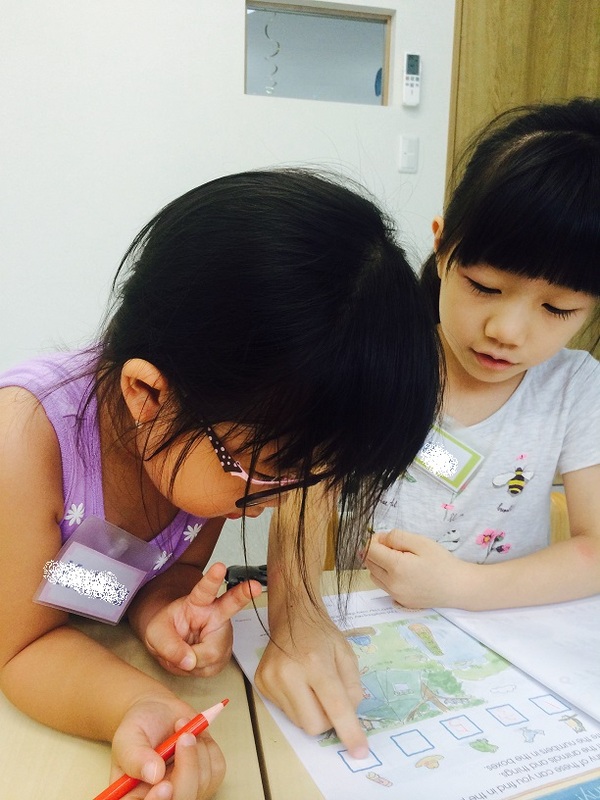 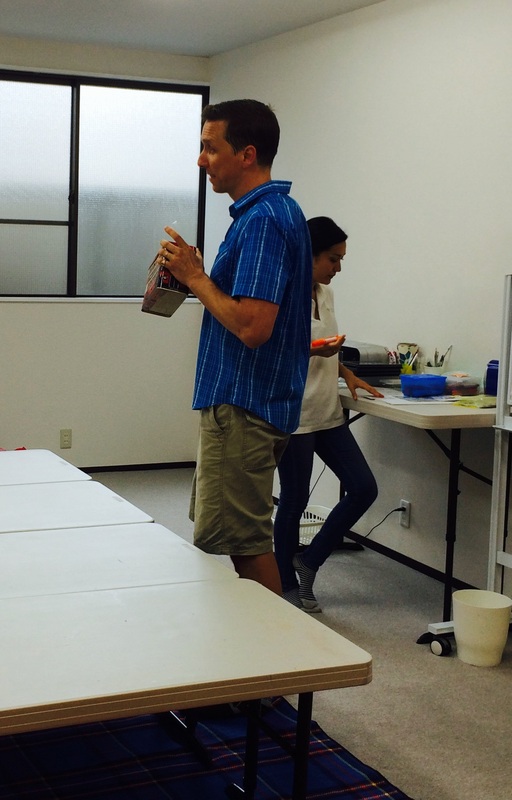 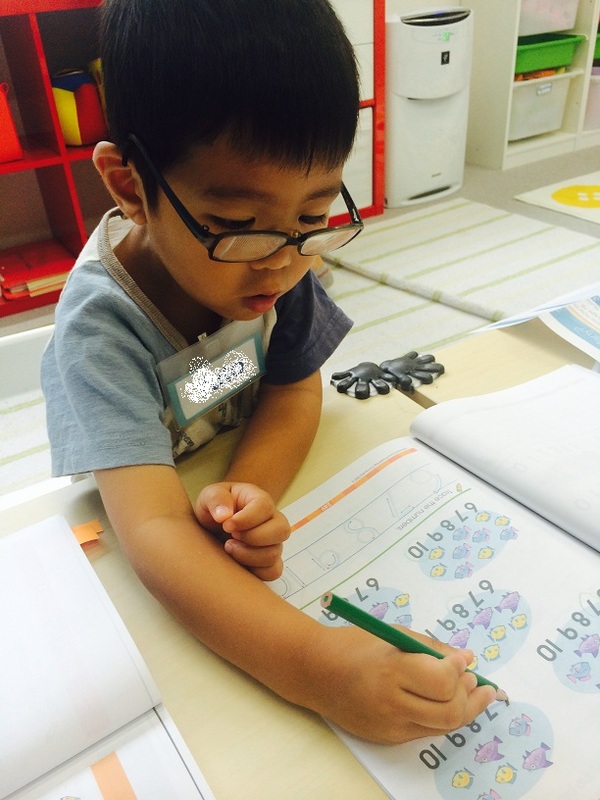 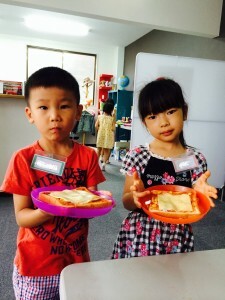 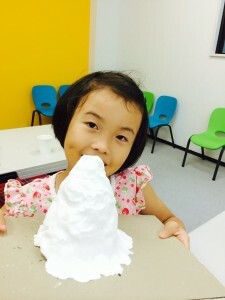 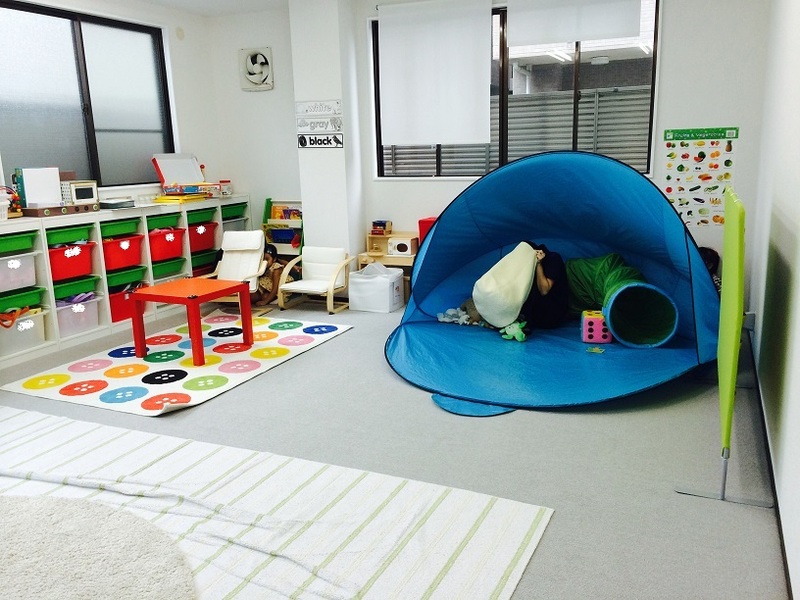 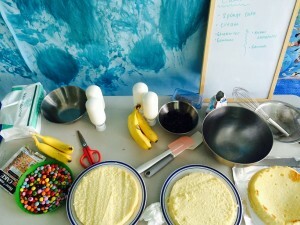 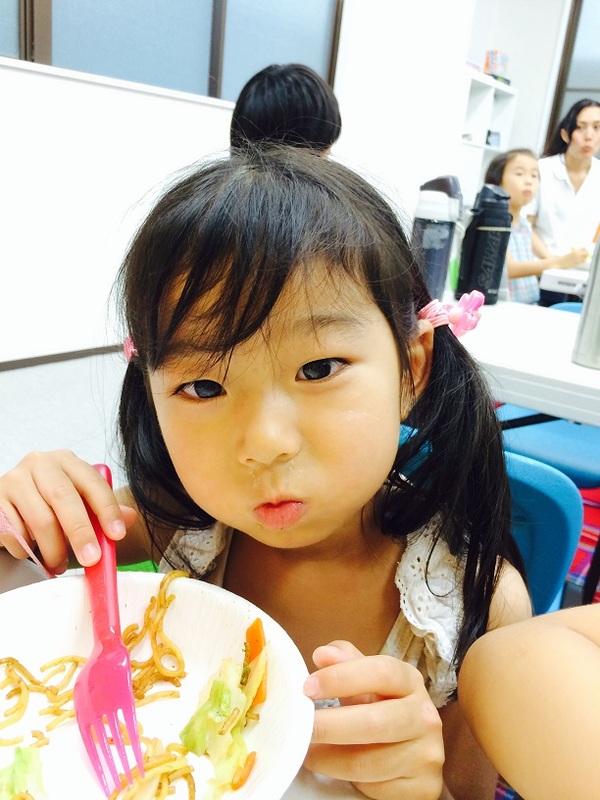 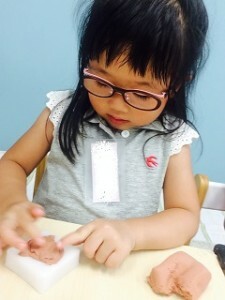 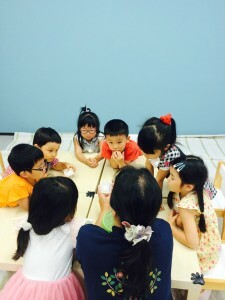 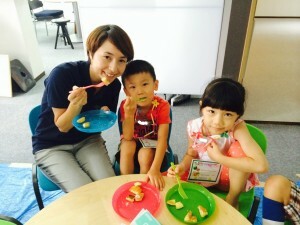 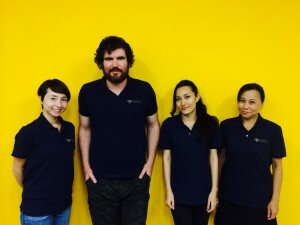 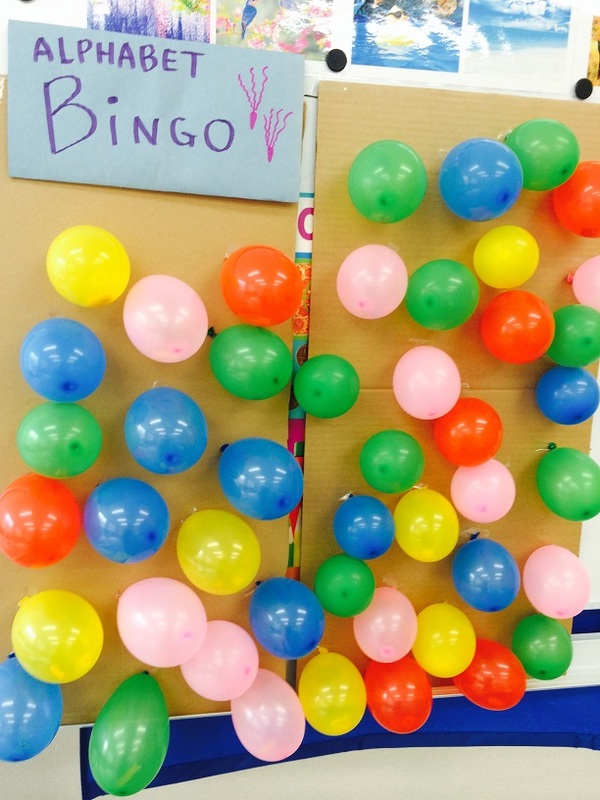 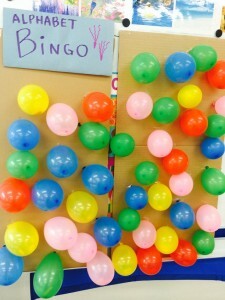 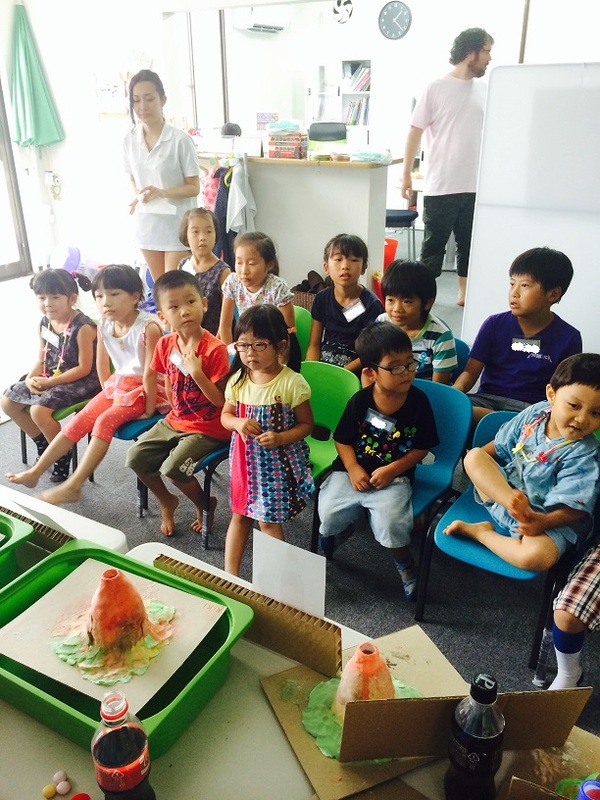 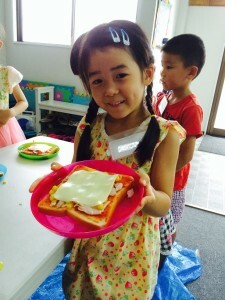 Let’s enjoy learning English together! 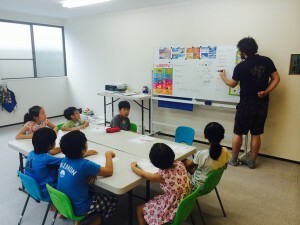 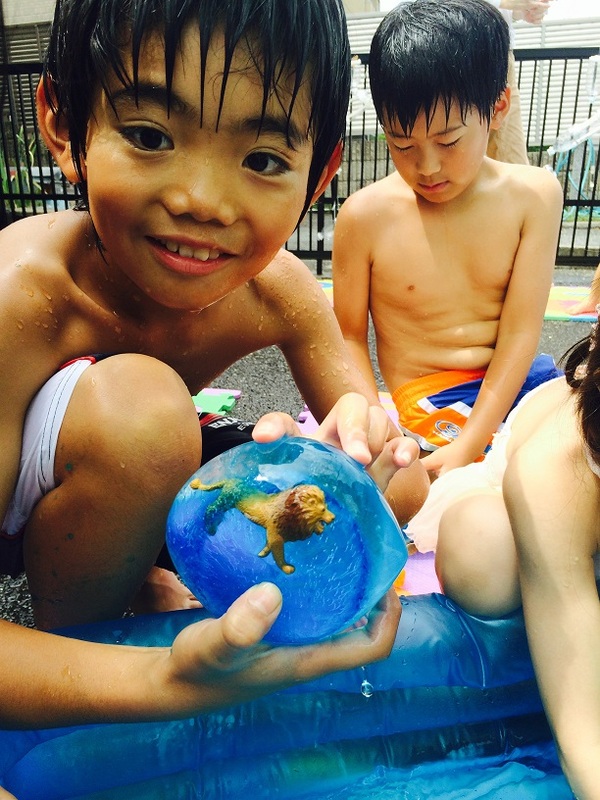 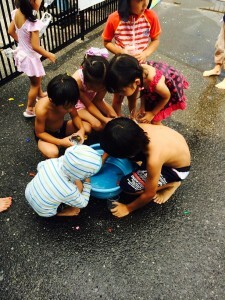 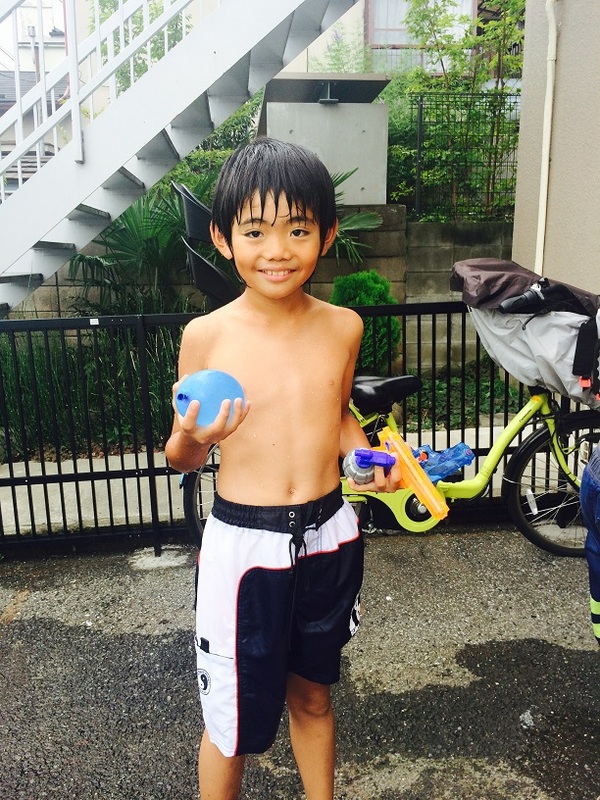 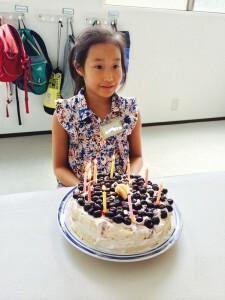 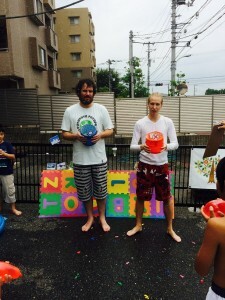 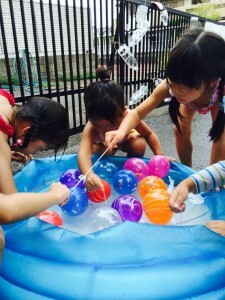 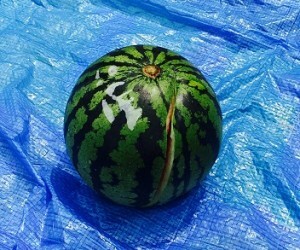 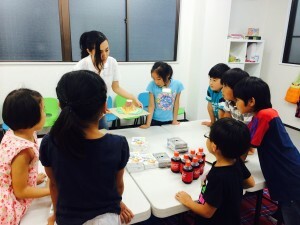 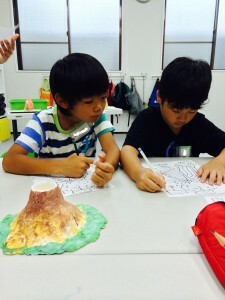 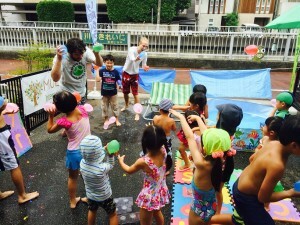 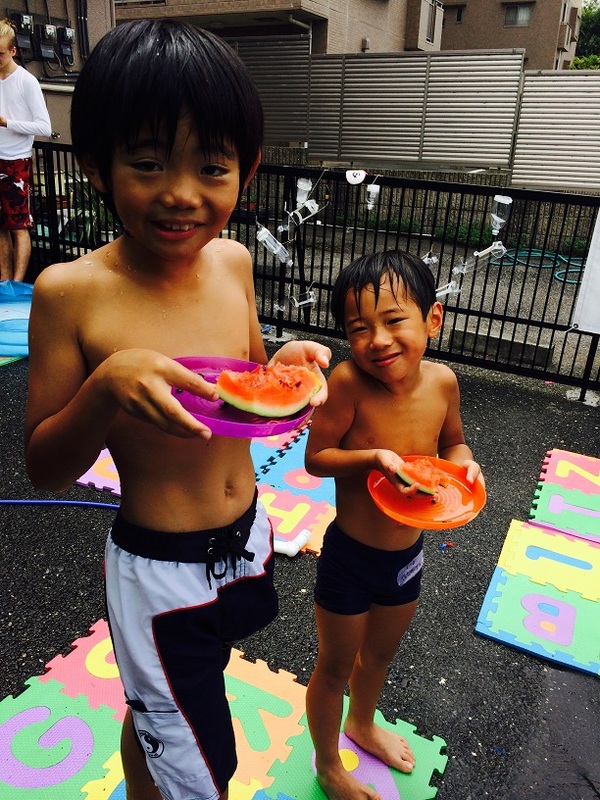 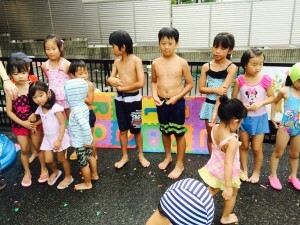 レッスン終了前のGoodbye Circle Timeで、先生から”Summer School Completion Certificate”とお土産をもらって終了です。あっという間の５日間でしたが、みんな毎日楽しんで通ってくれました！”Summer School Memory”の題で、先生・スタッフも一番思い出に残ったことを話し合いました。どれも楽しい思い出でしたが、なんといってもみんなの生き生きとした表情と、眩しい笑顔が一番の思い出となっています！Thank you everyone for your participation in the Summer School, we hope you had as much fun as we did!